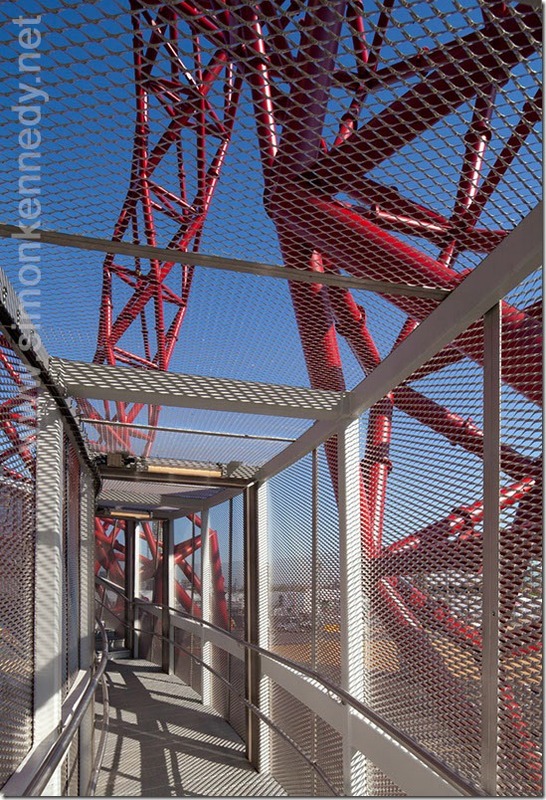 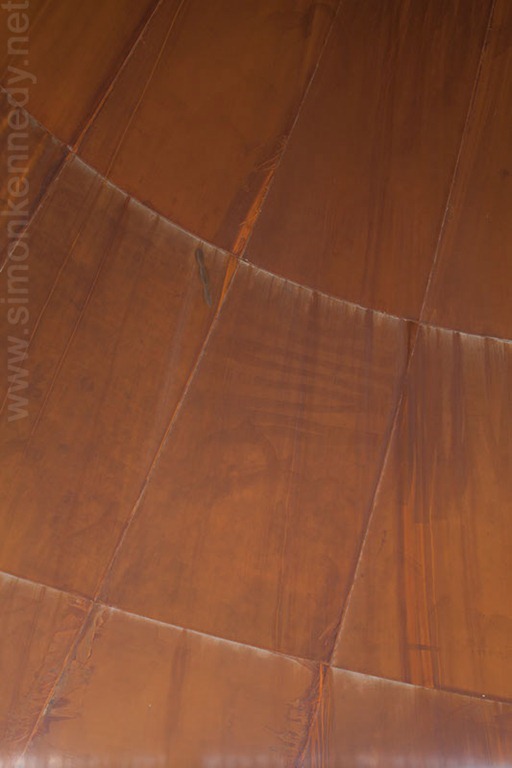 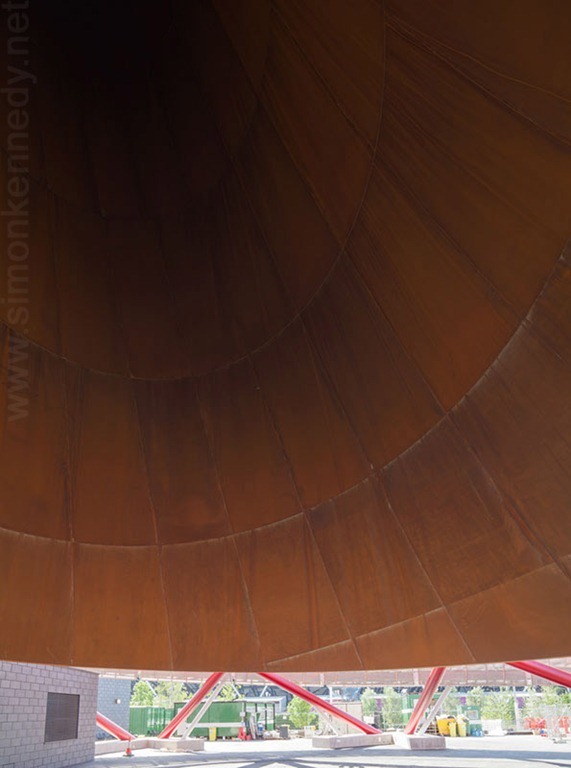 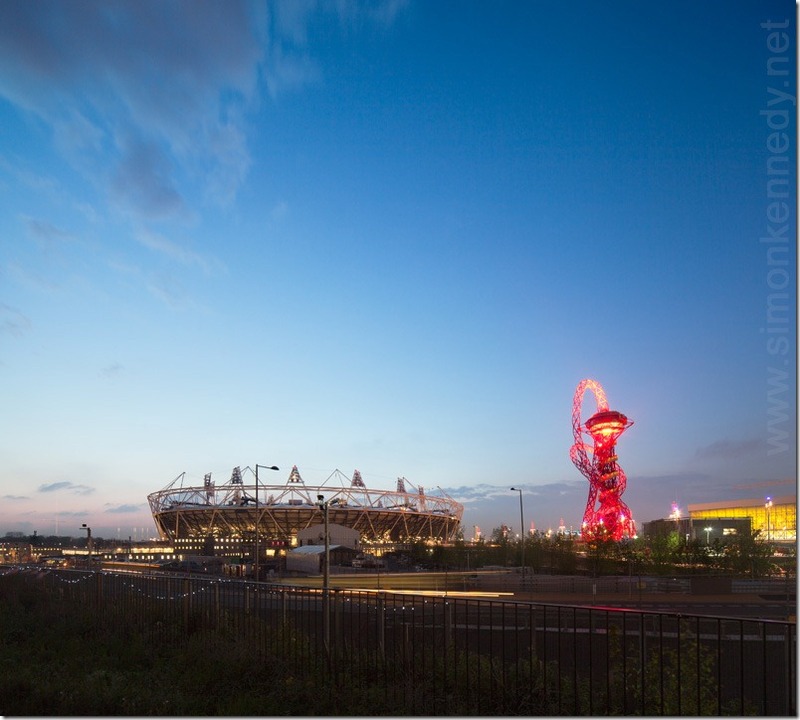 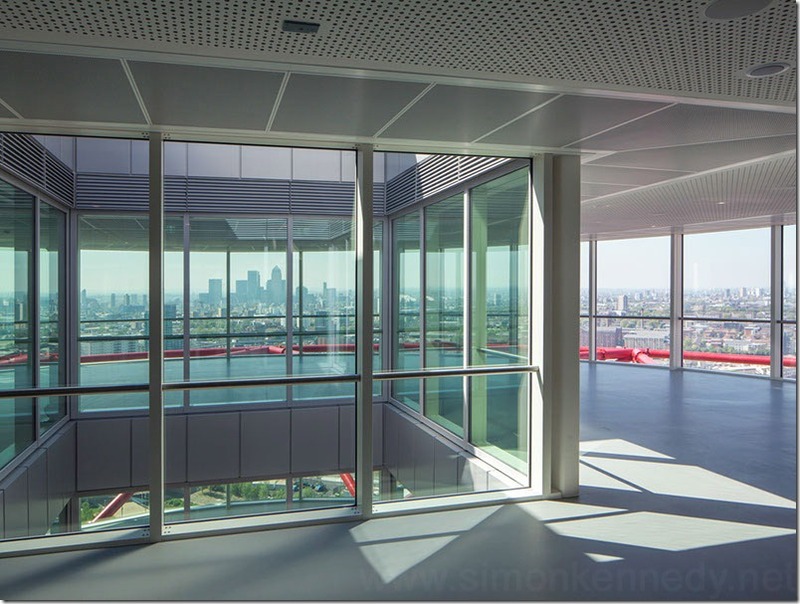 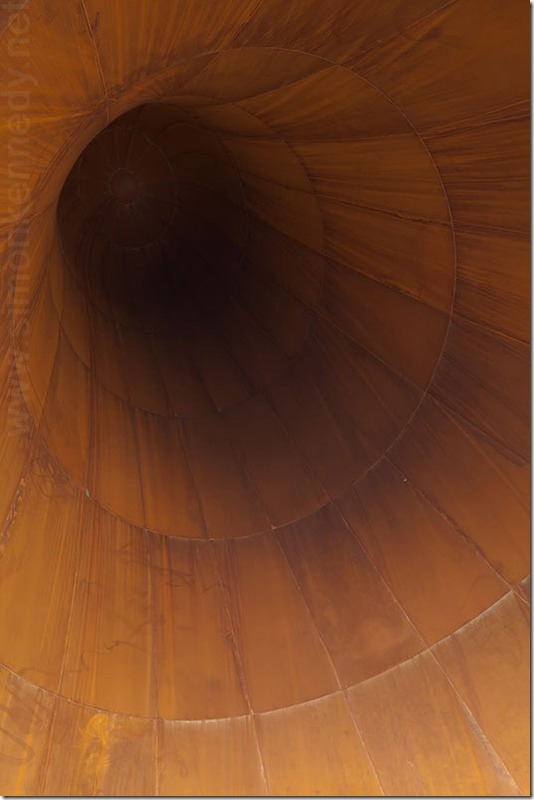 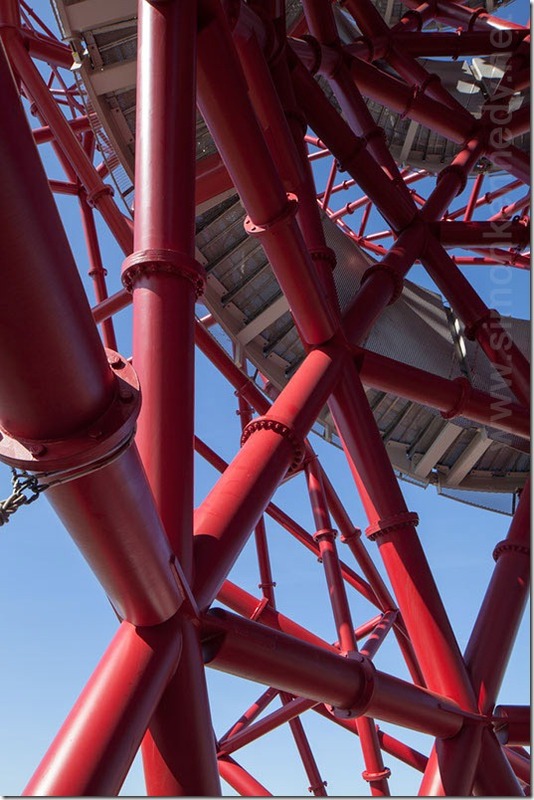 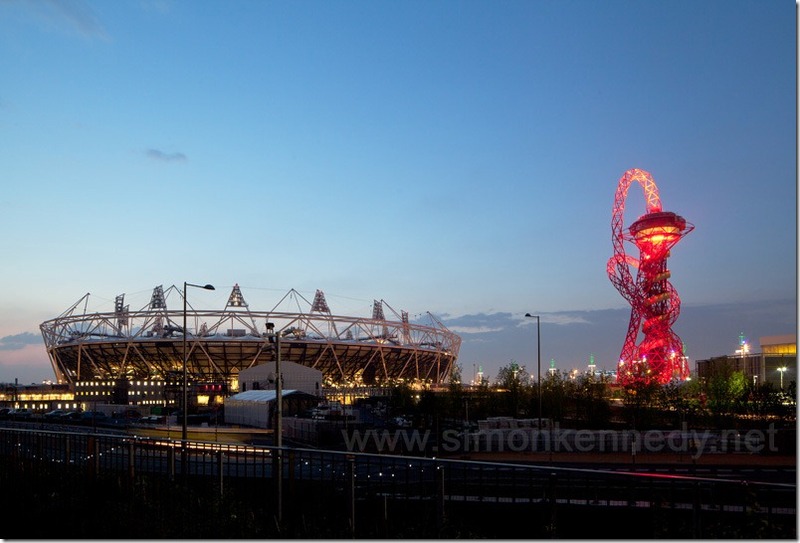 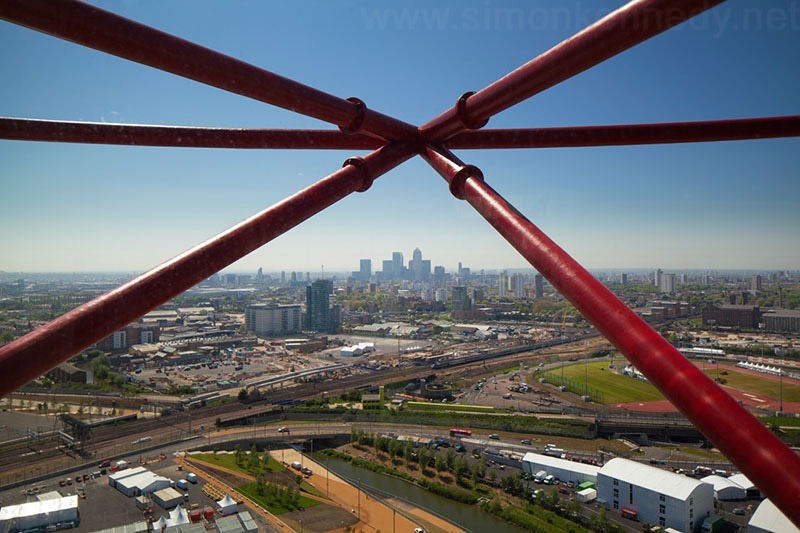 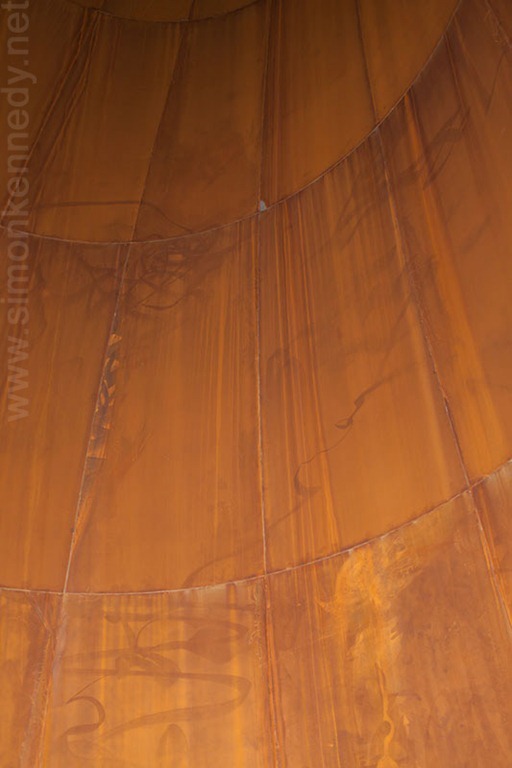 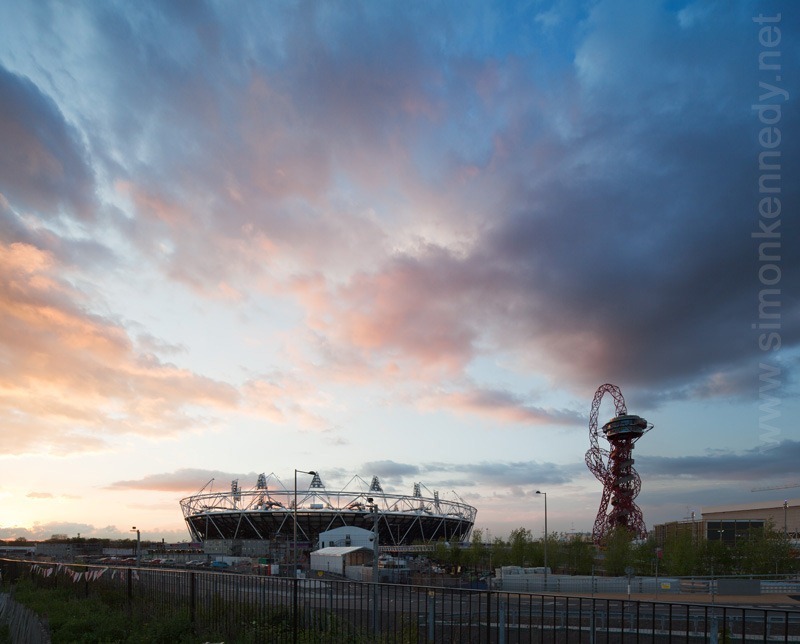 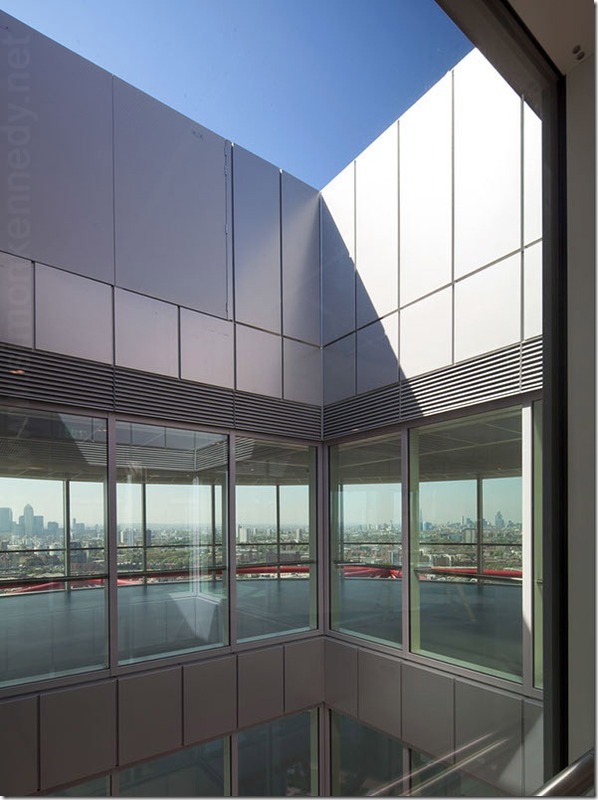 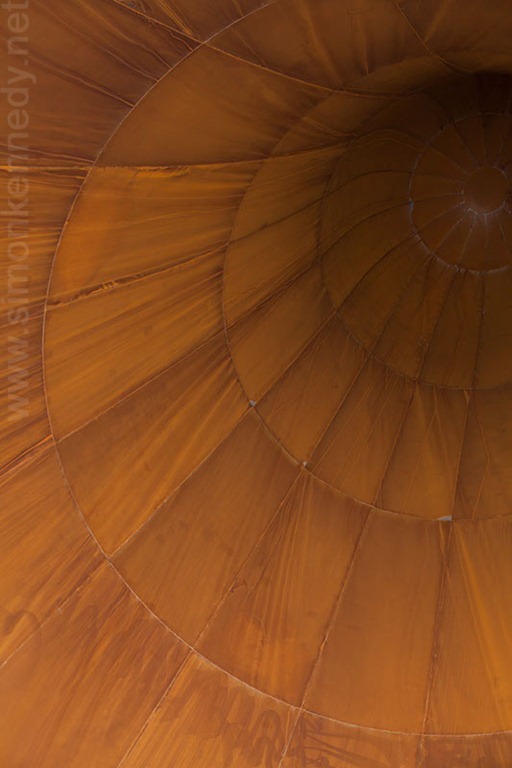 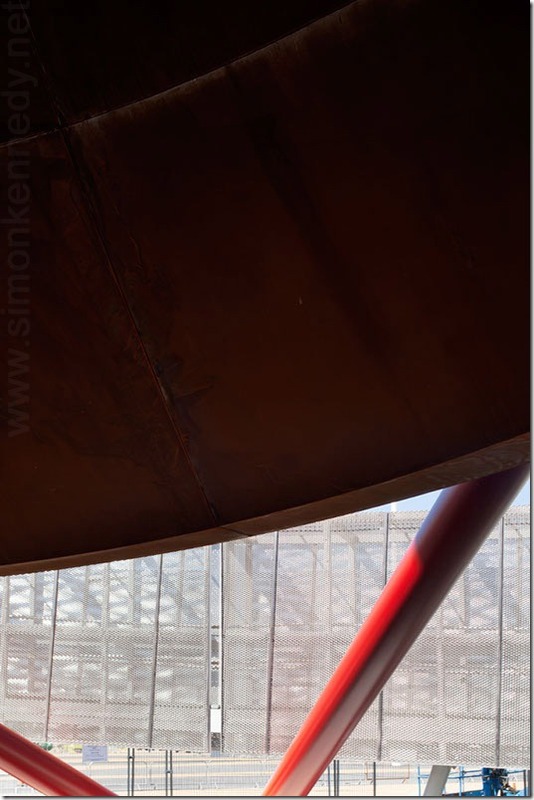 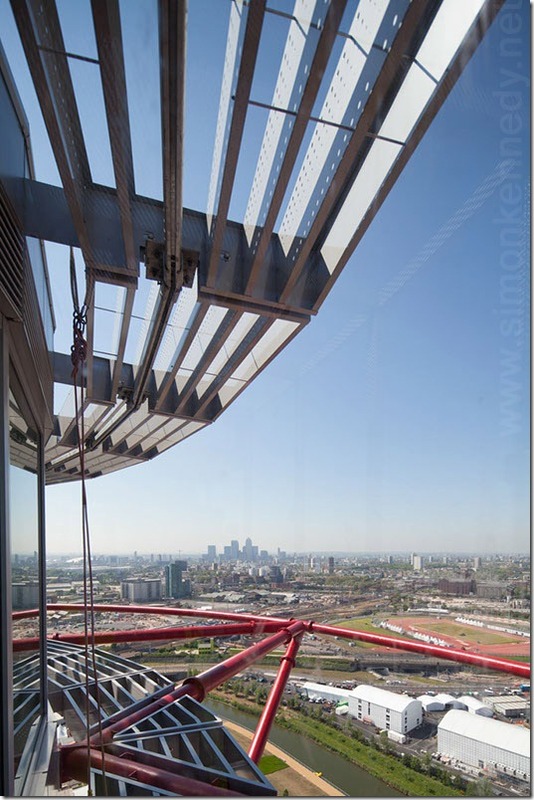 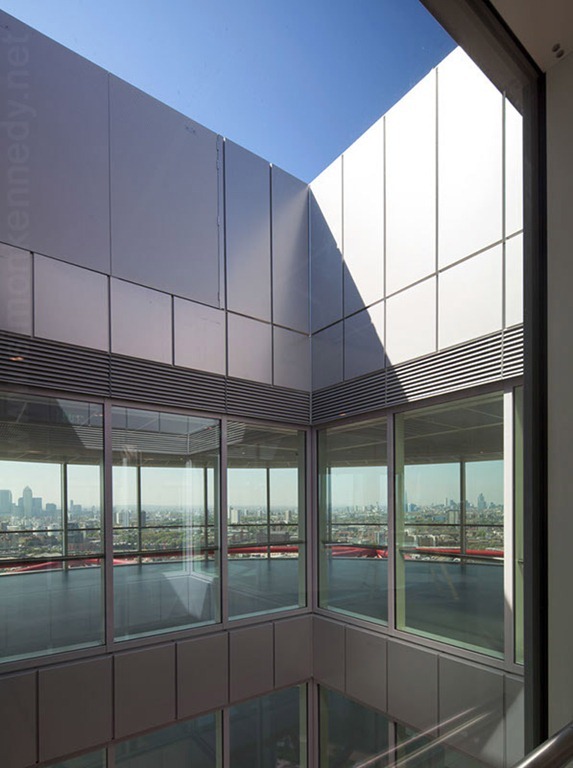 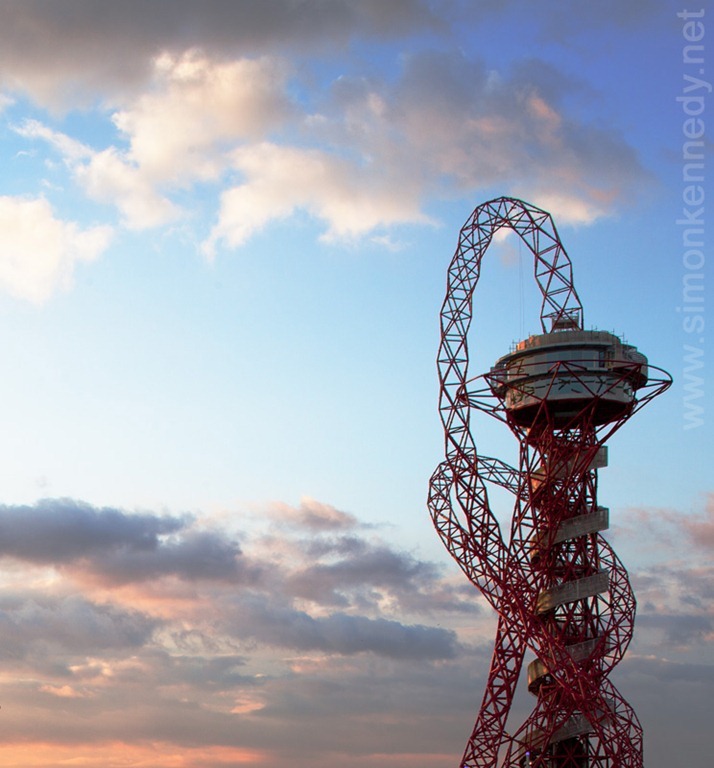 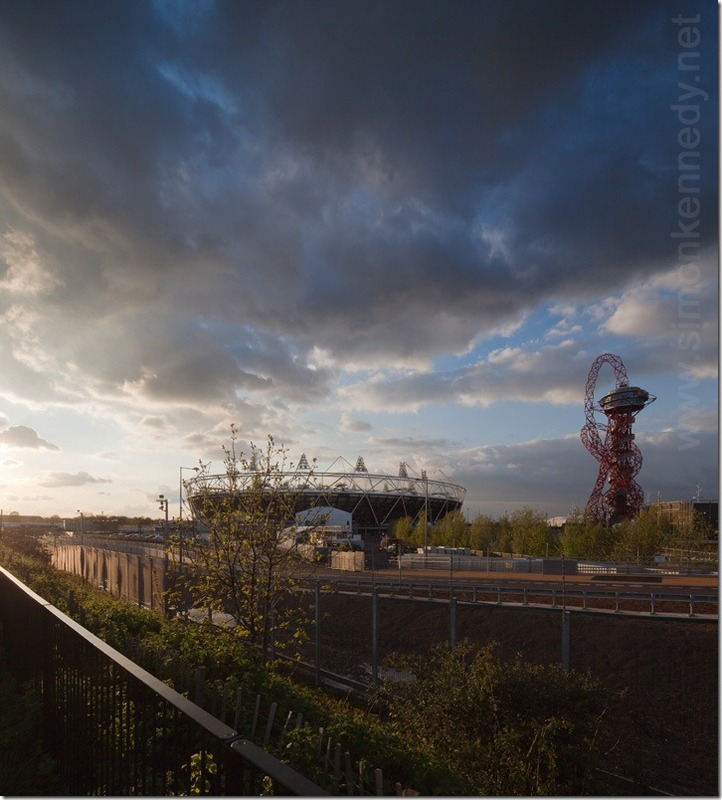 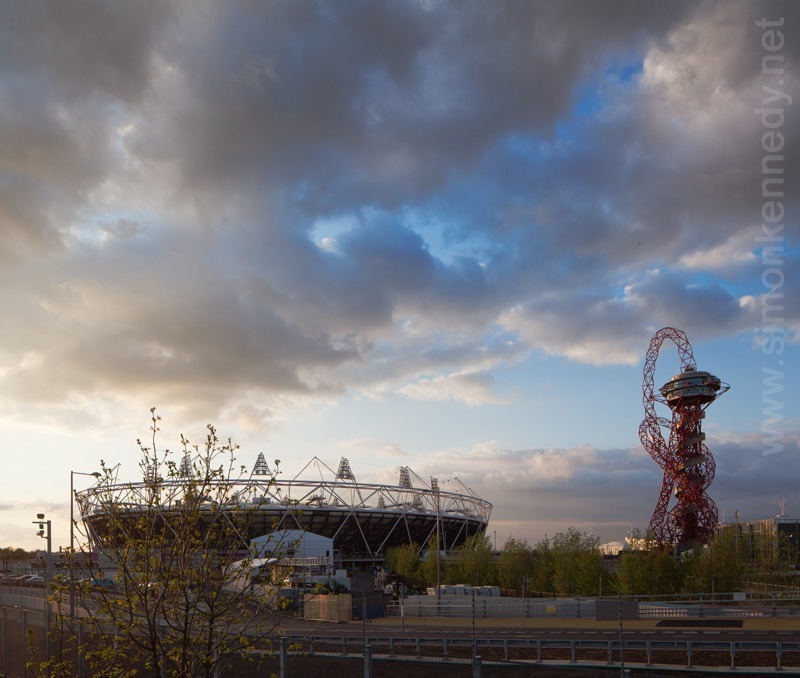 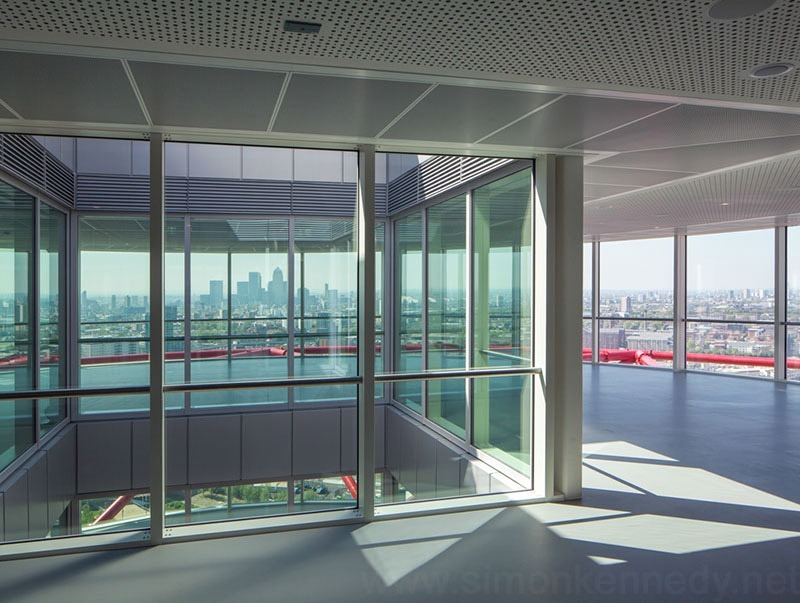 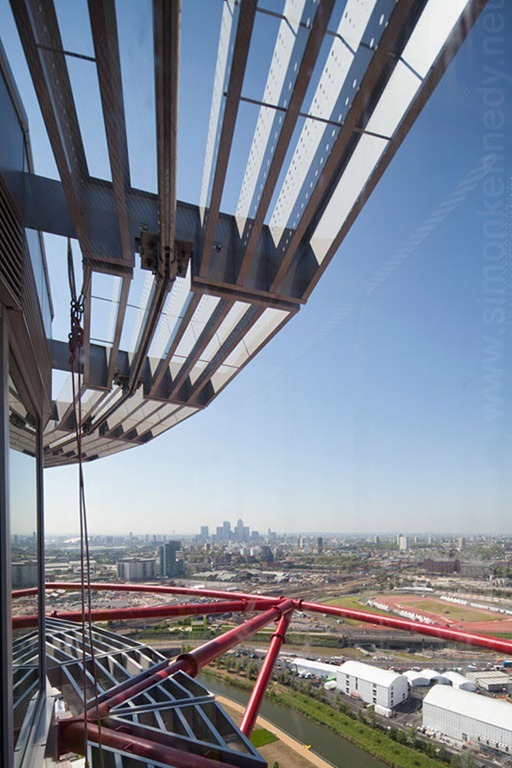 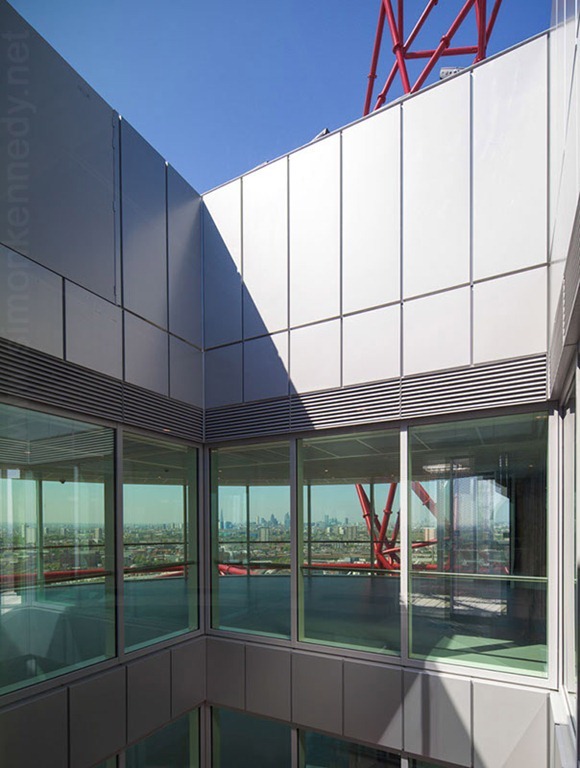 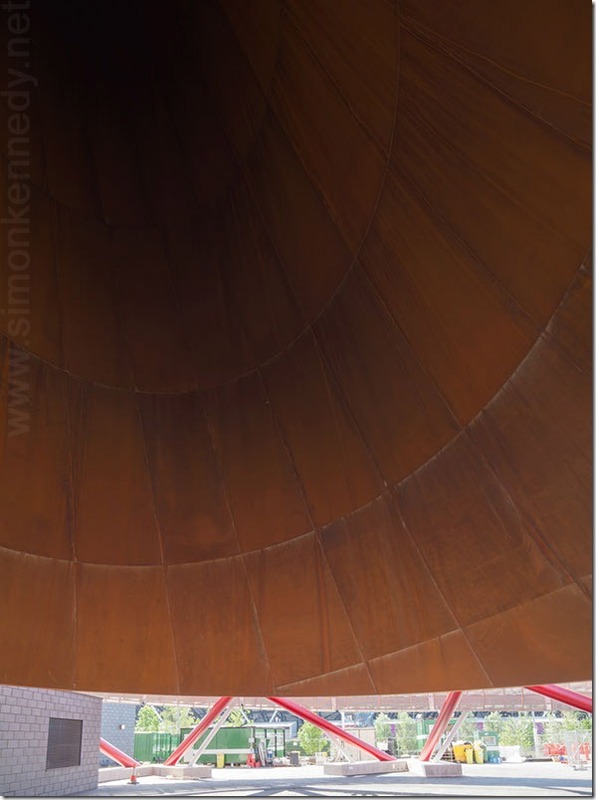 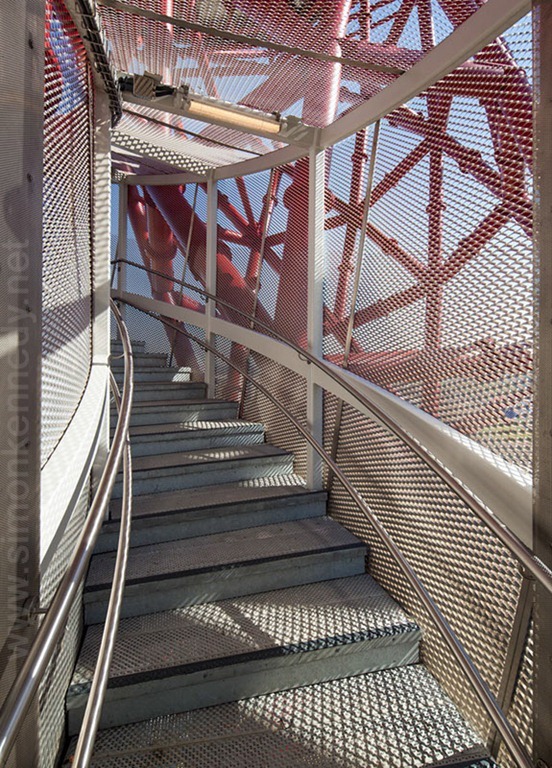 I was commissioned recently by Kathryn Findlay of Ushida Findlay Architects to photograph the architecture of the extraordinary ArcelorMittal Orbit, a showpiece structure in the middle of the London 2012 Olympic Park. 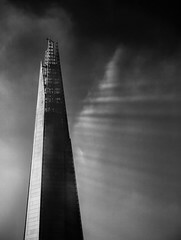 Designed in it’s initial form by artist Anish Kapoor and structural engineer Cecil Balmond, Ushida Findlay Architects were responsible for the architectural components, including the staircase, observation decks with amazing views over London and the 2012 Olympic park, and the entrance pavilion, next to Anish Kapoors impressive Cor-ten steel “Bell”. 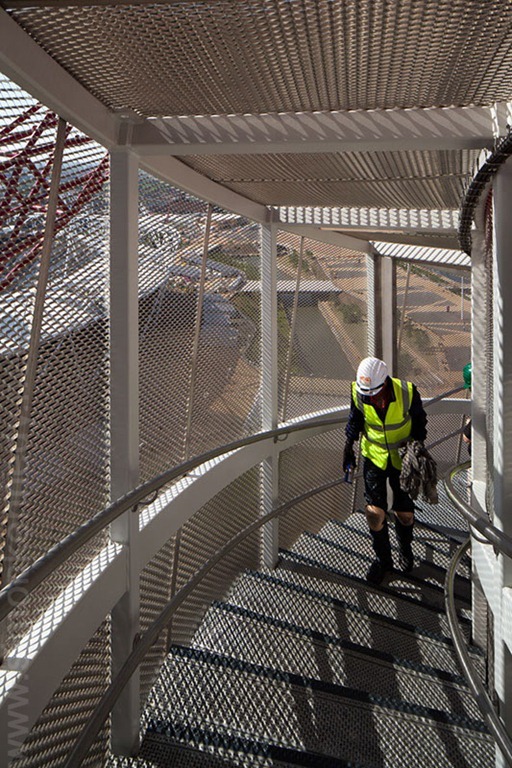 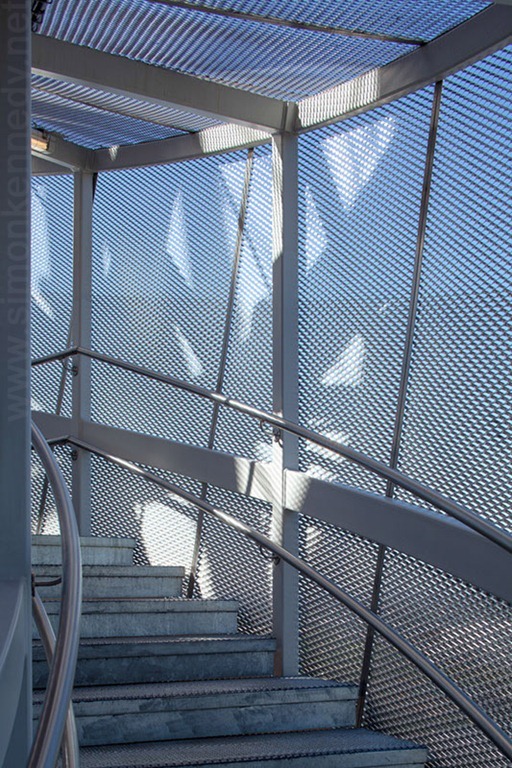 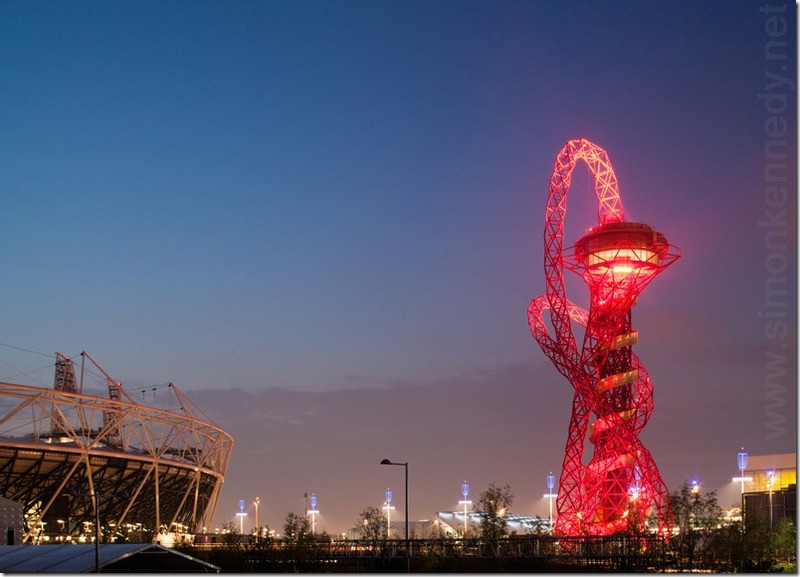 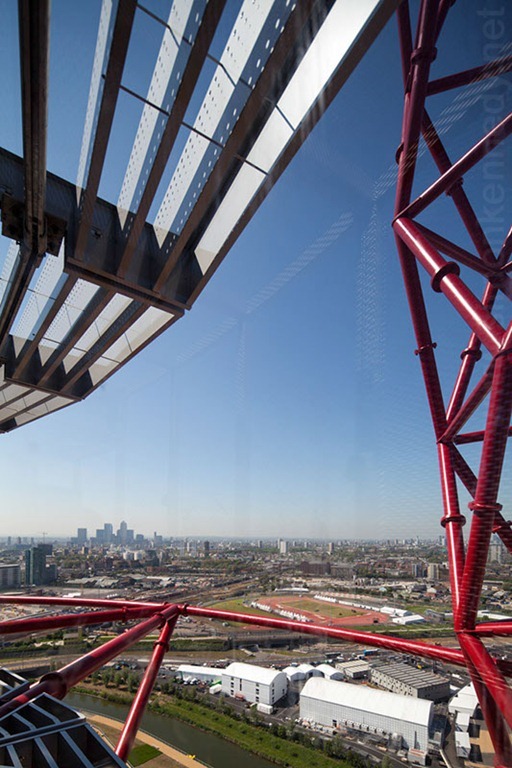 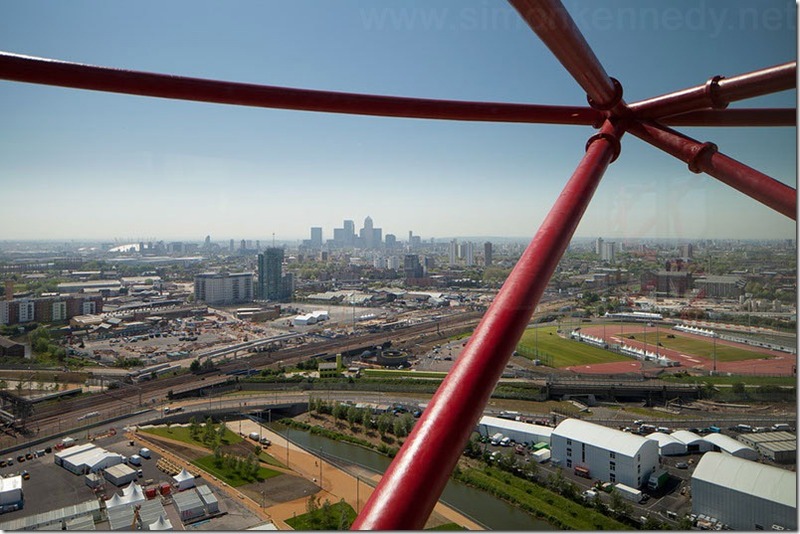 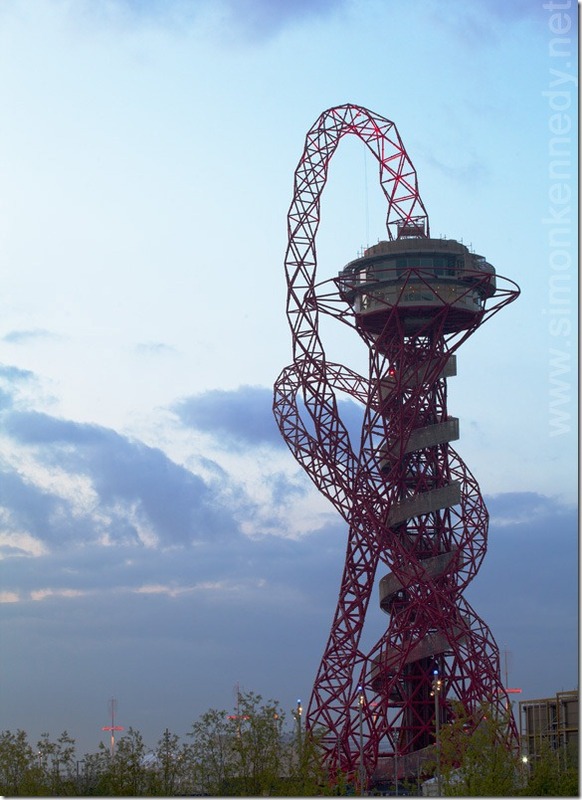 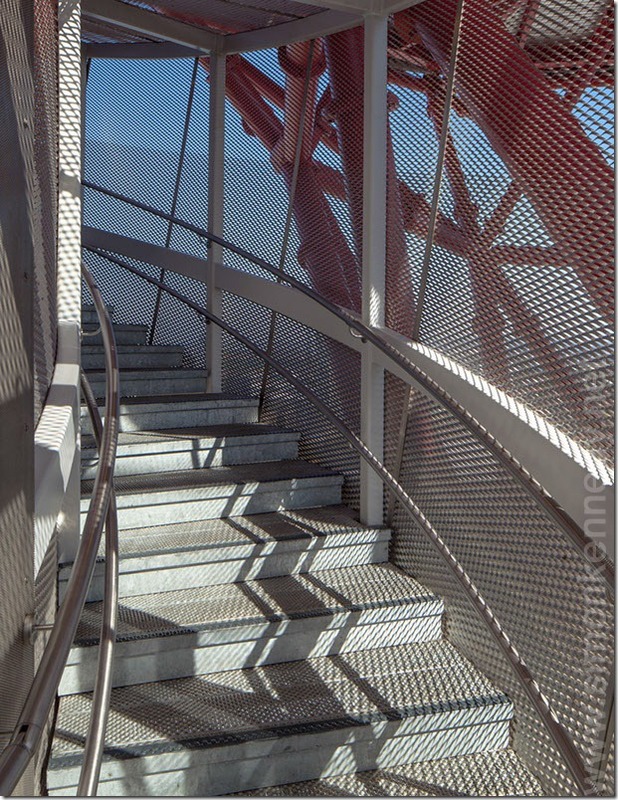 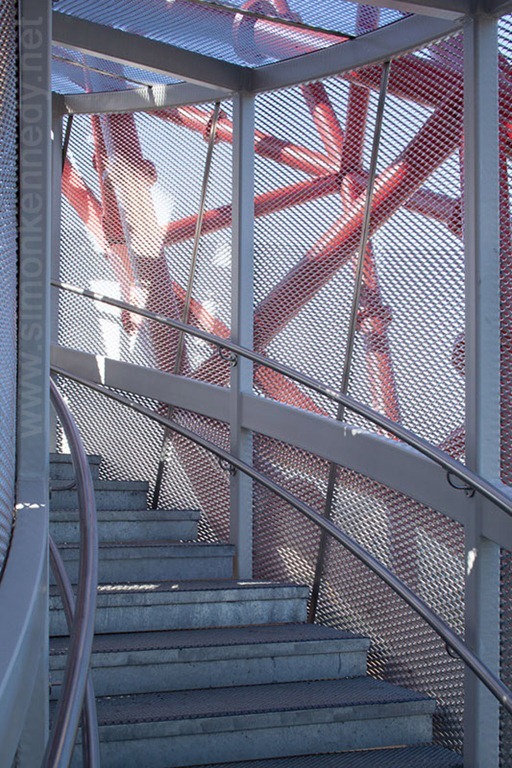 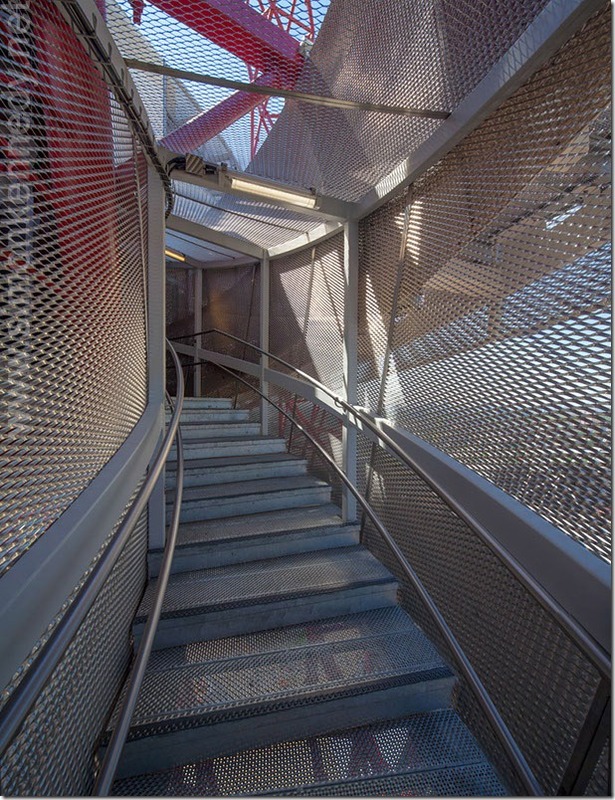 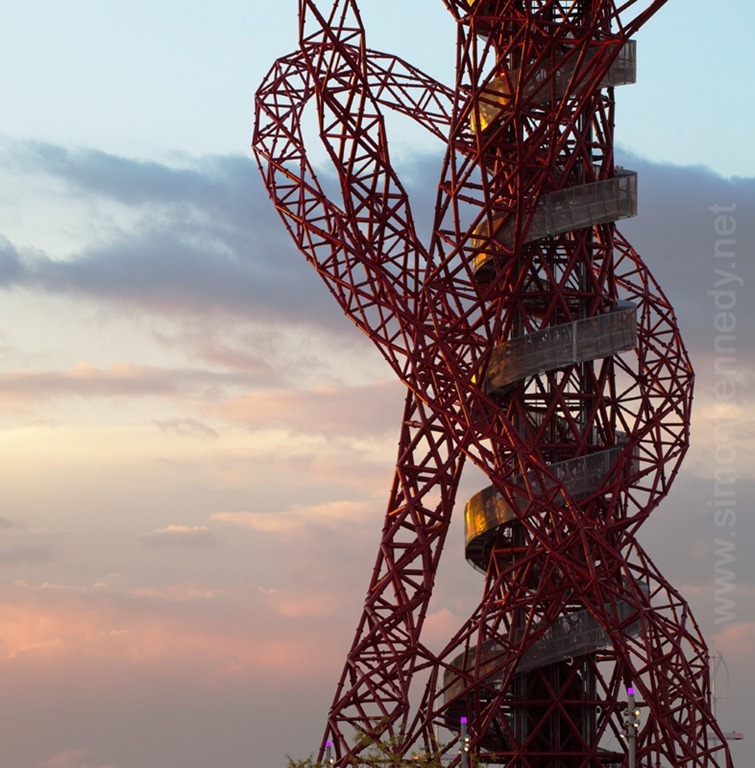 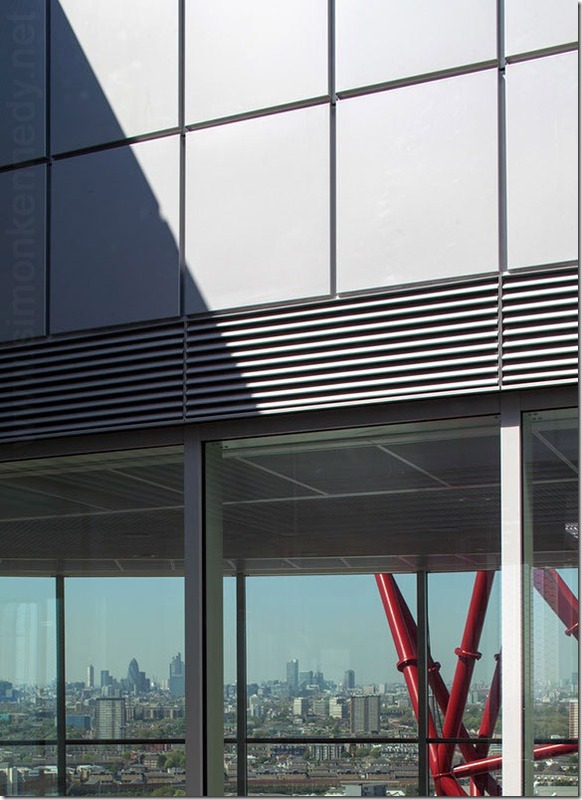 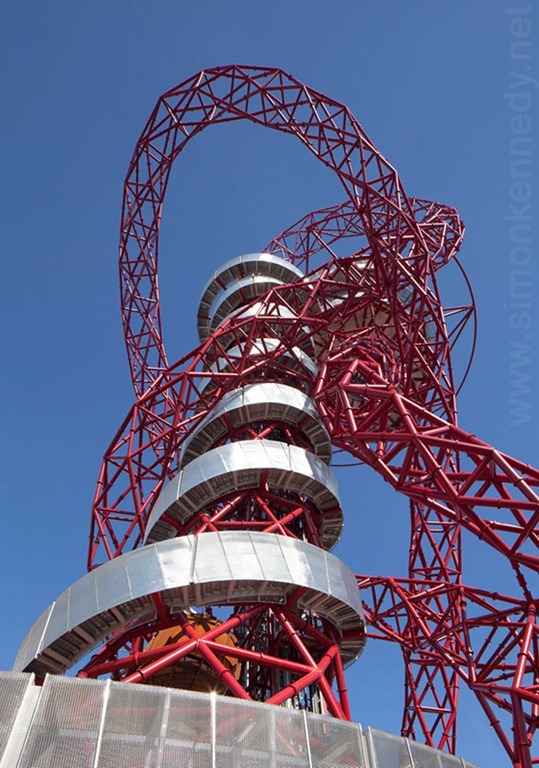 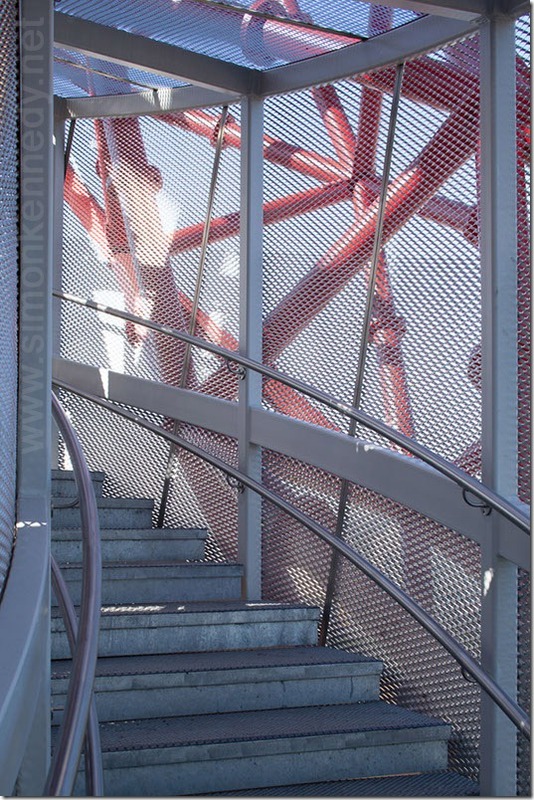 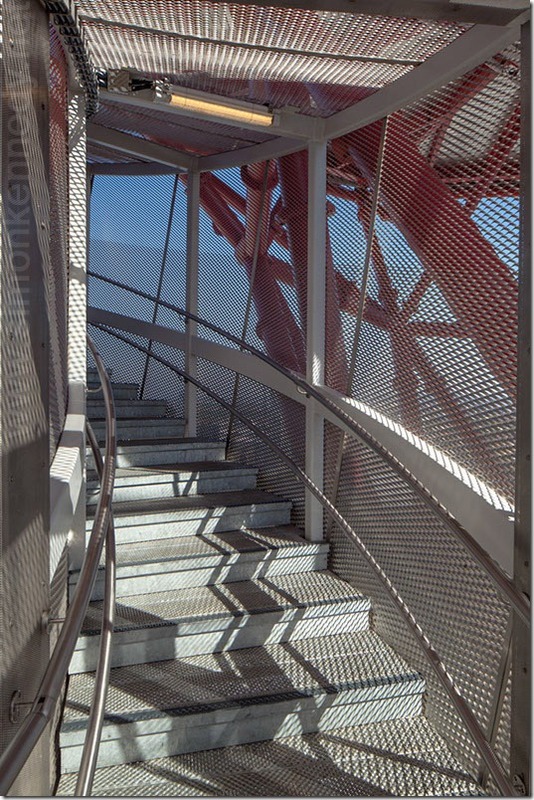 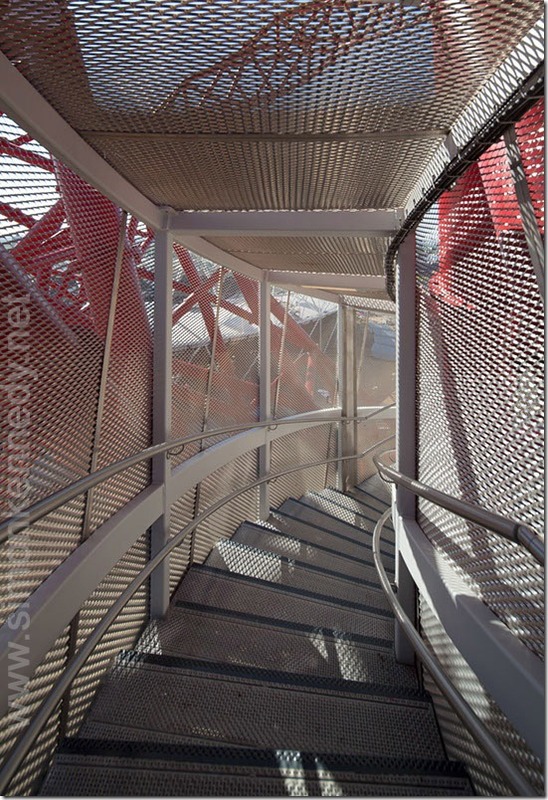 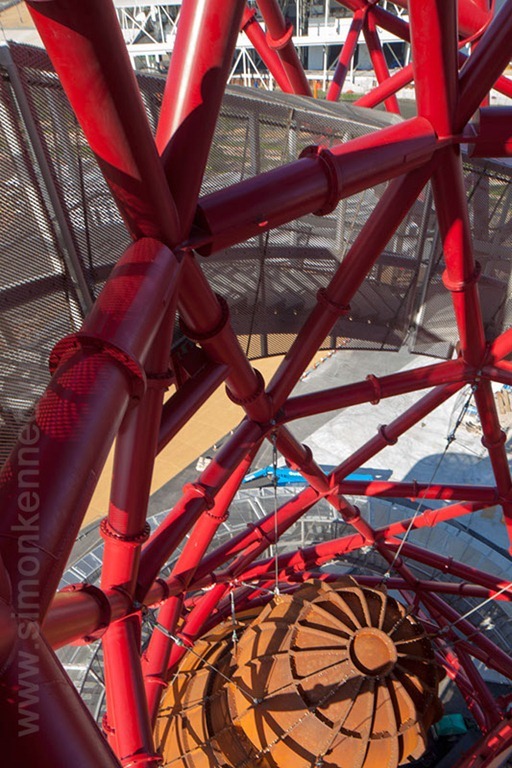 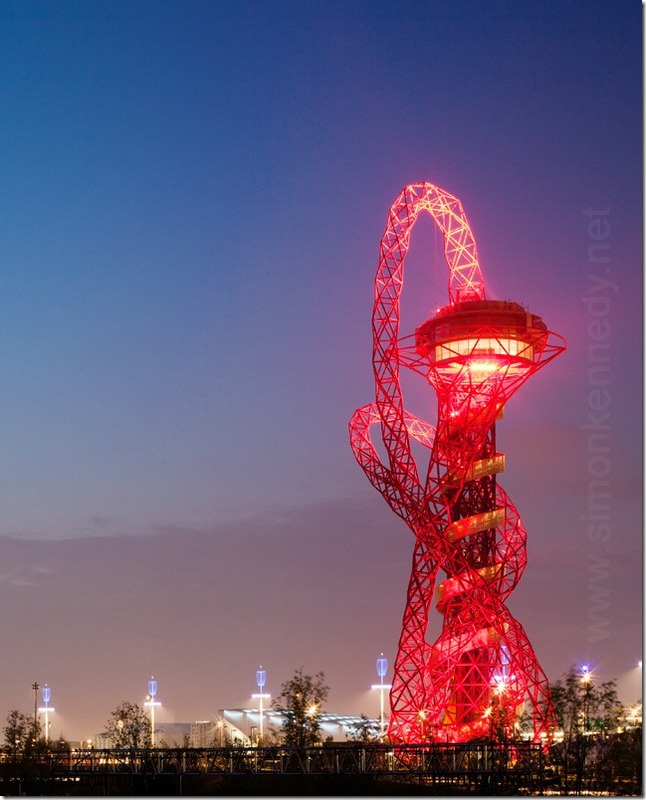 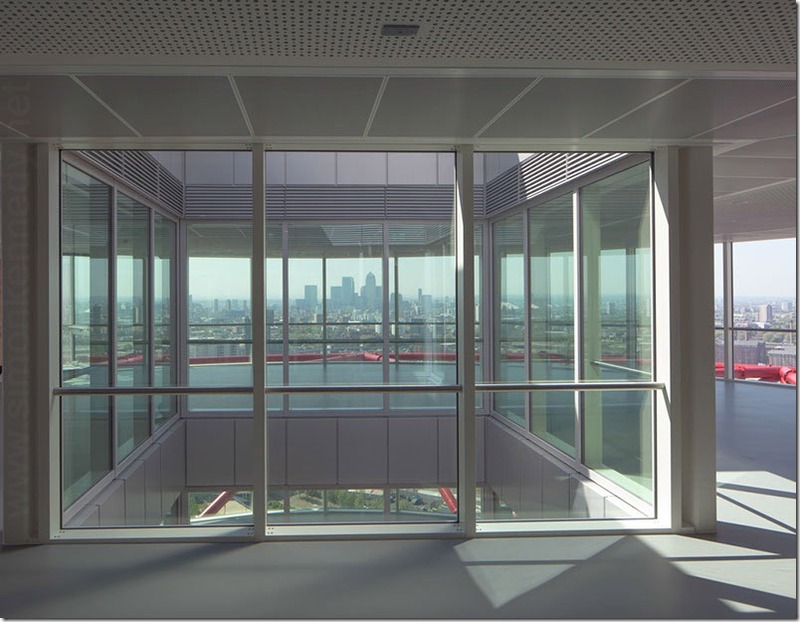 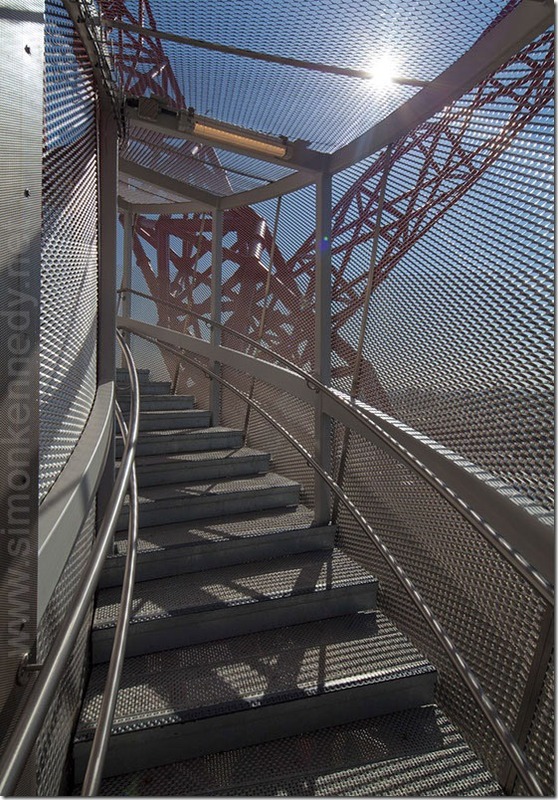 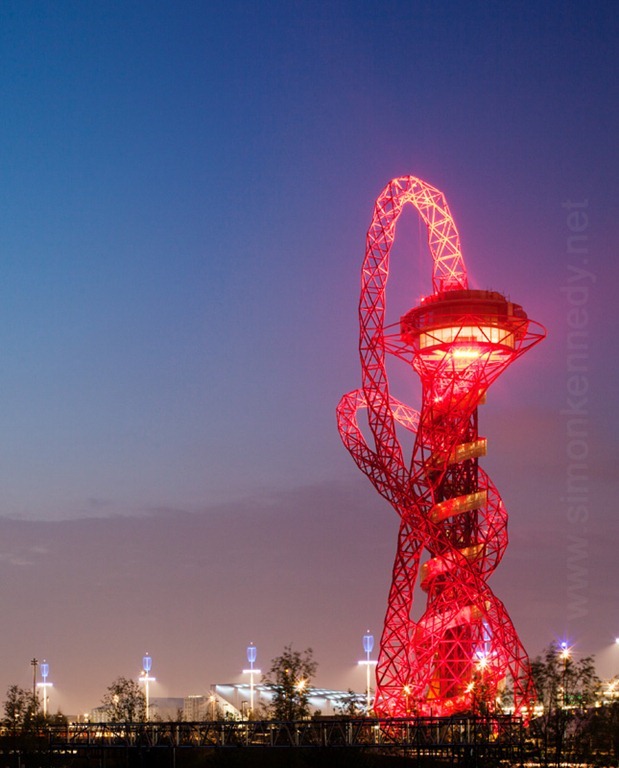 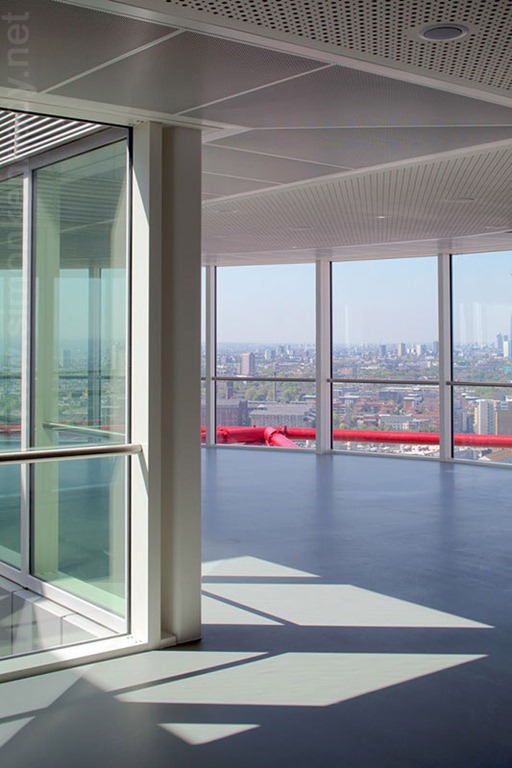 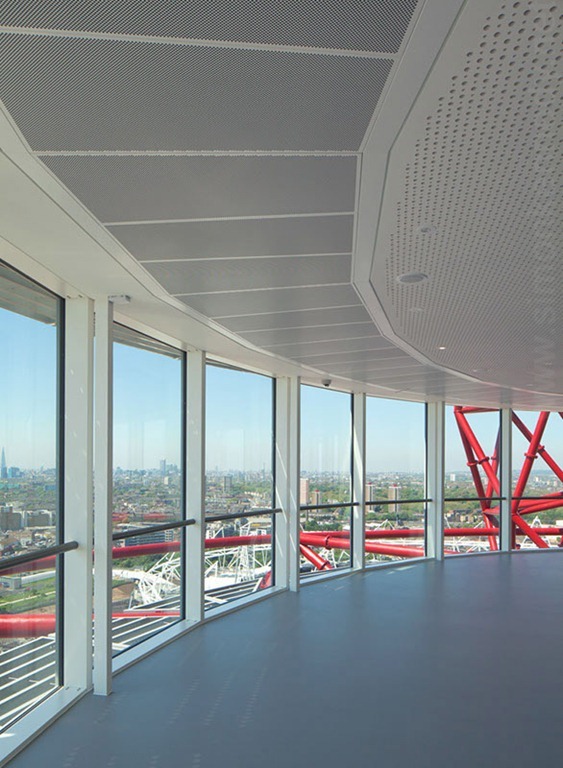 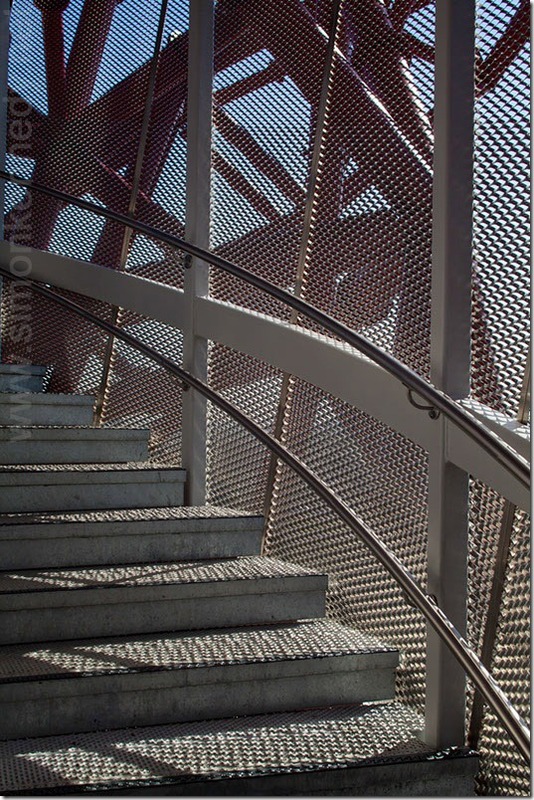 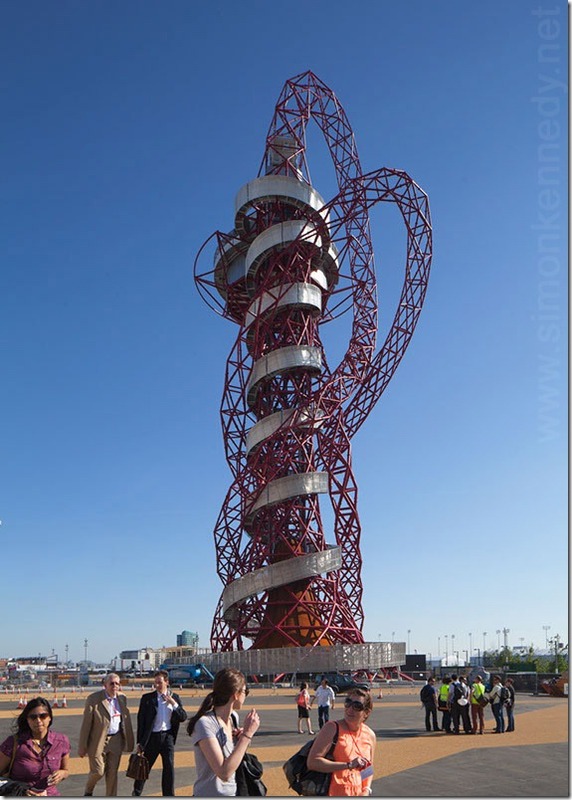 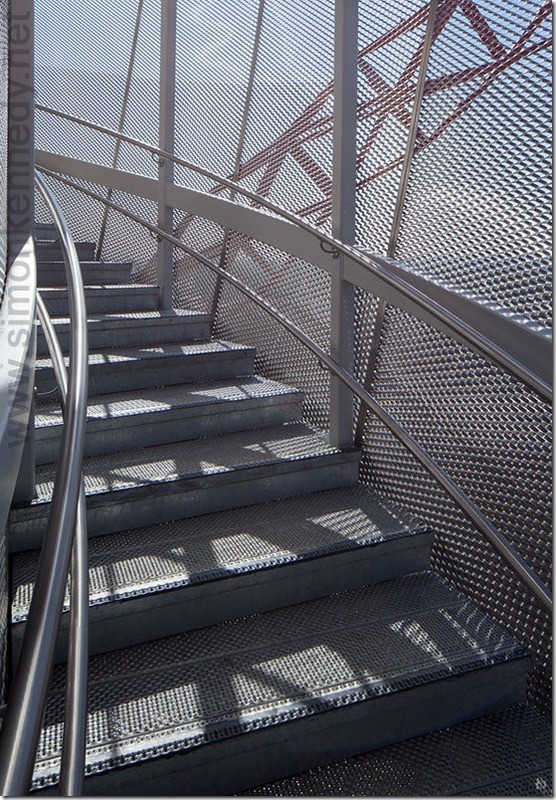 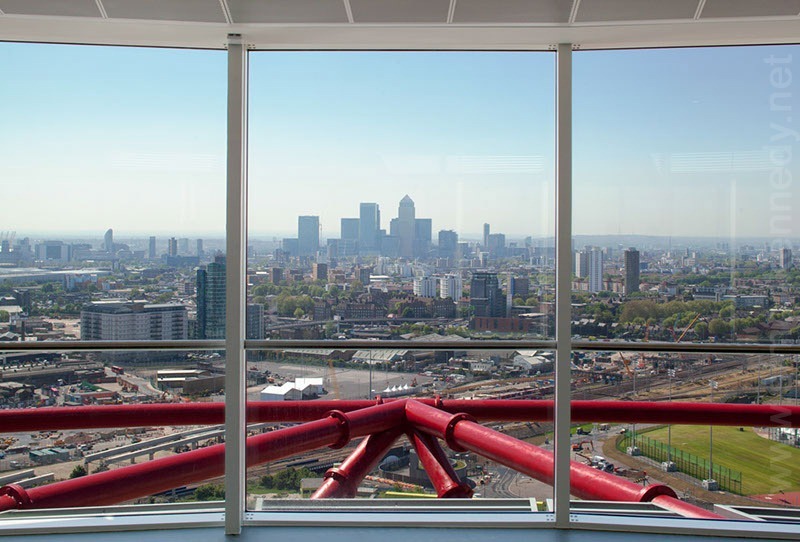 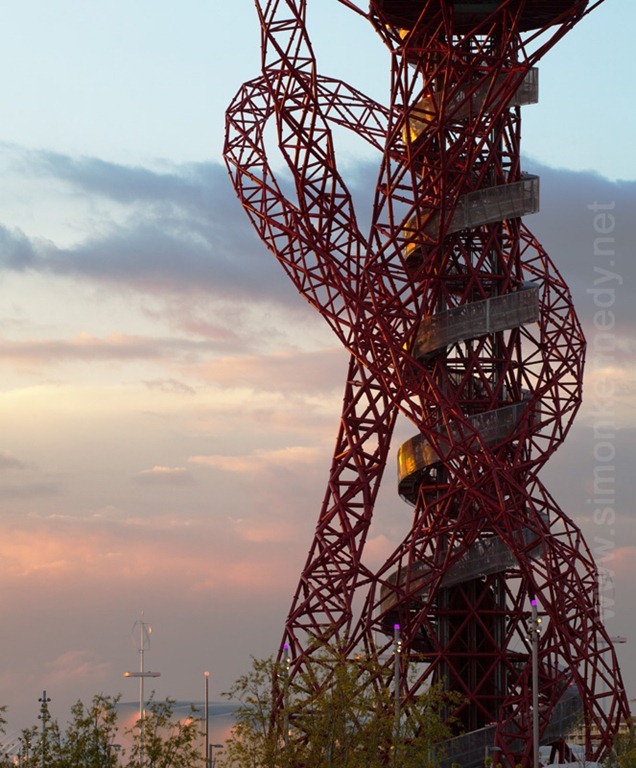 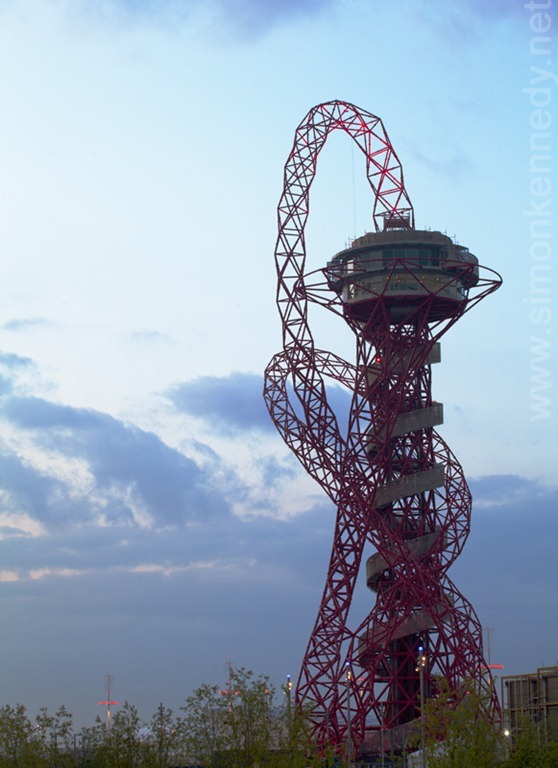 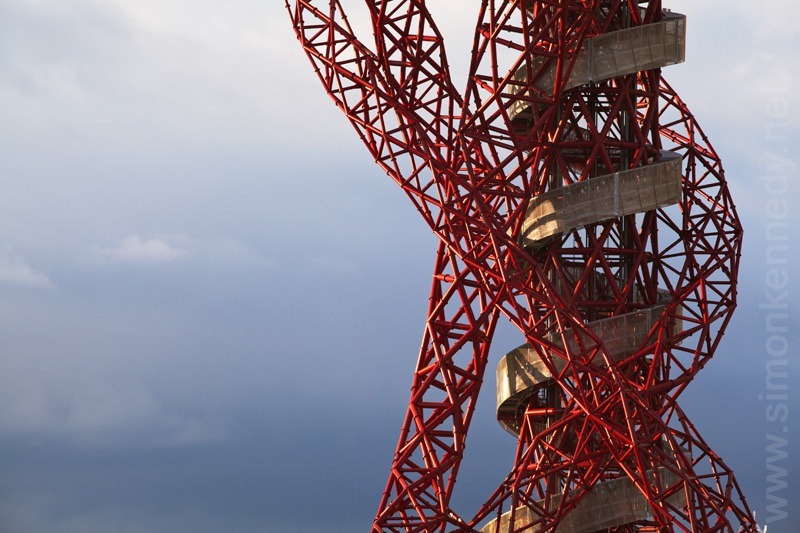 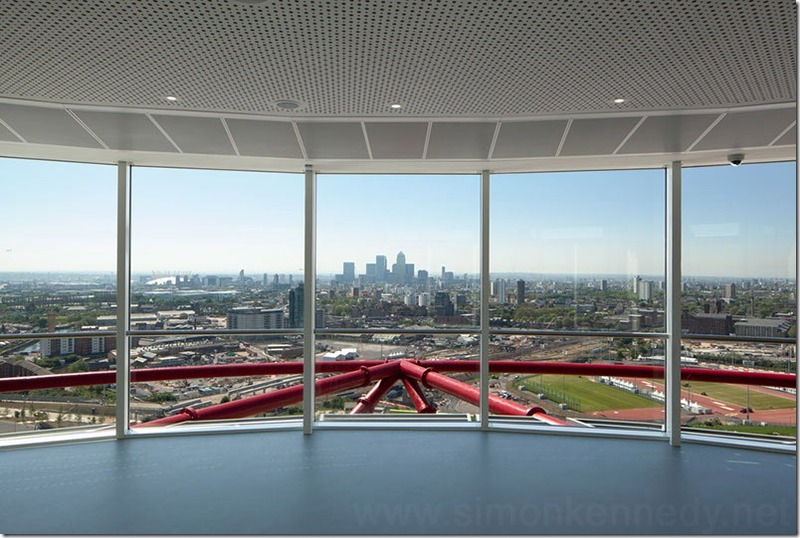 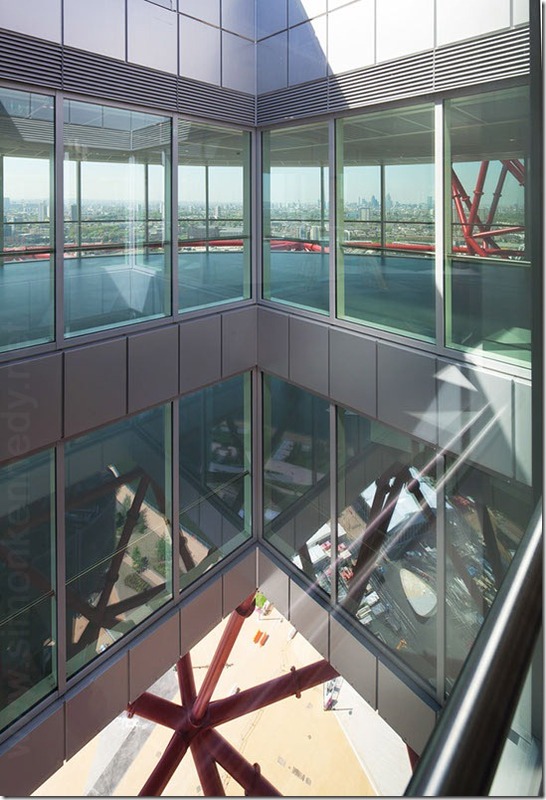 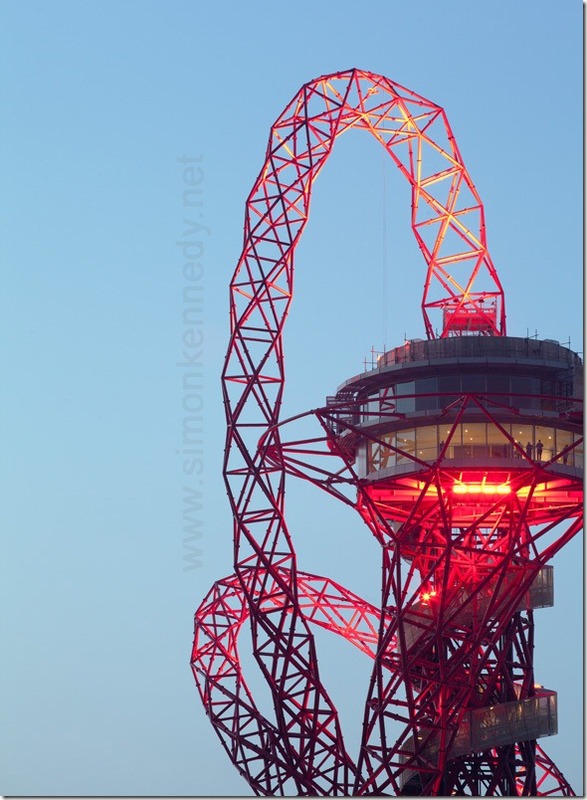 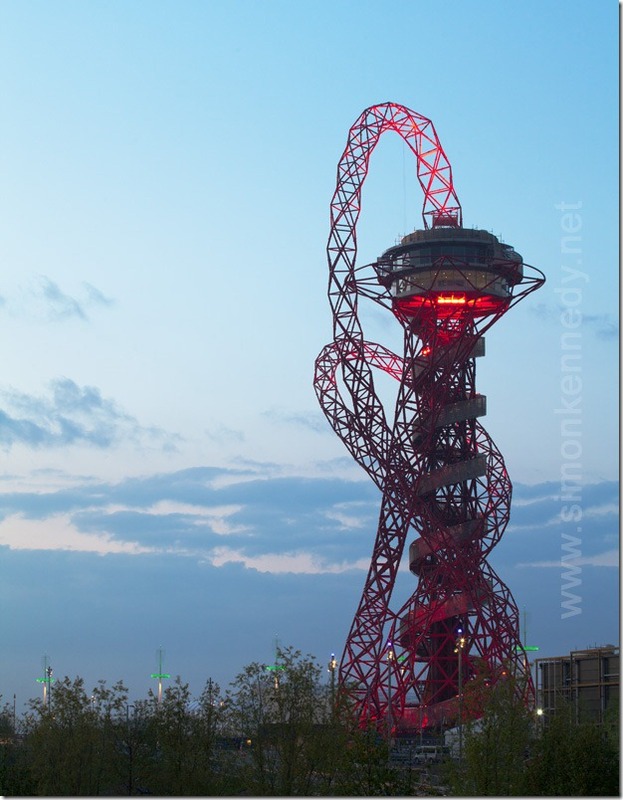 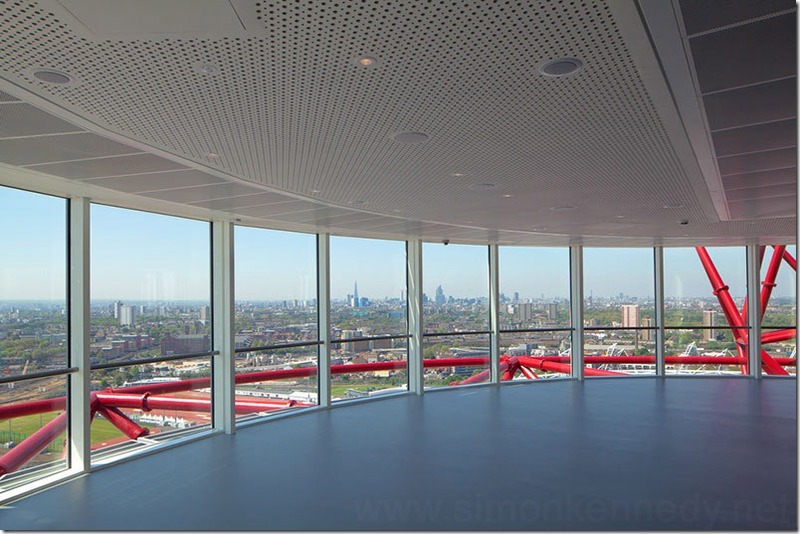 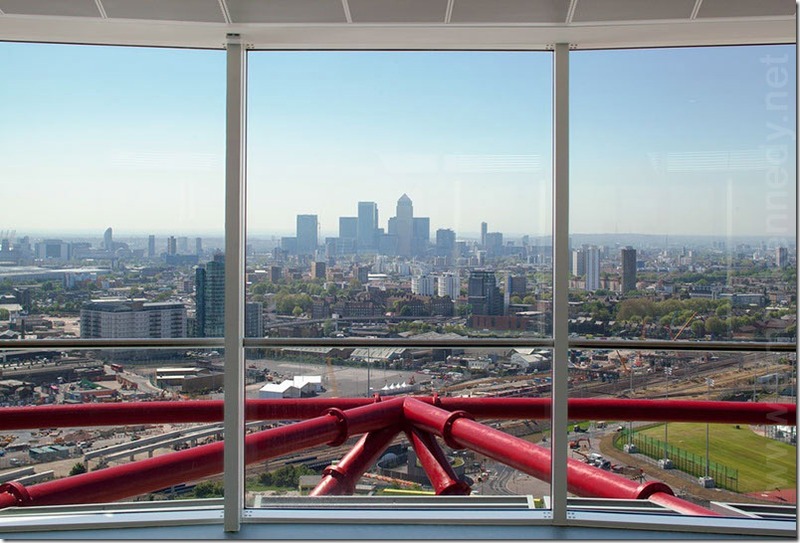 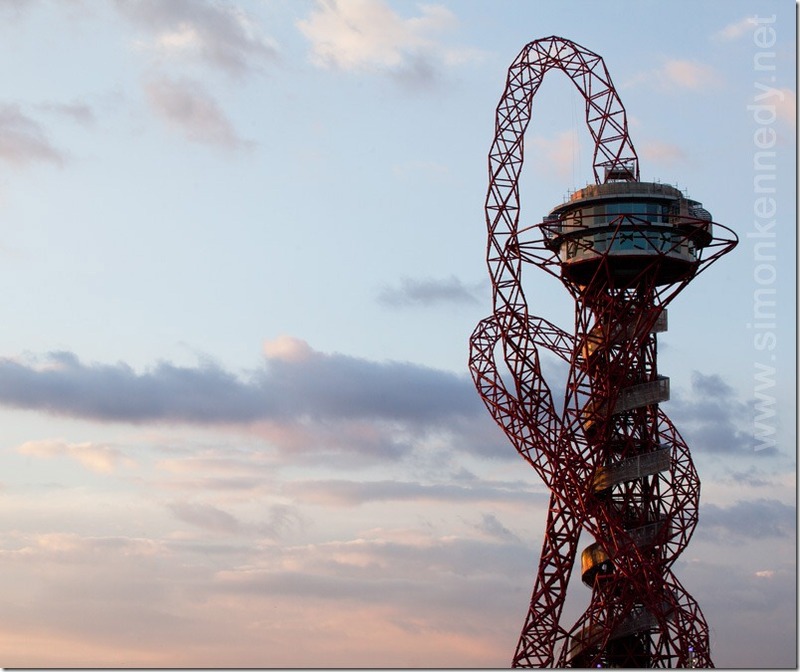 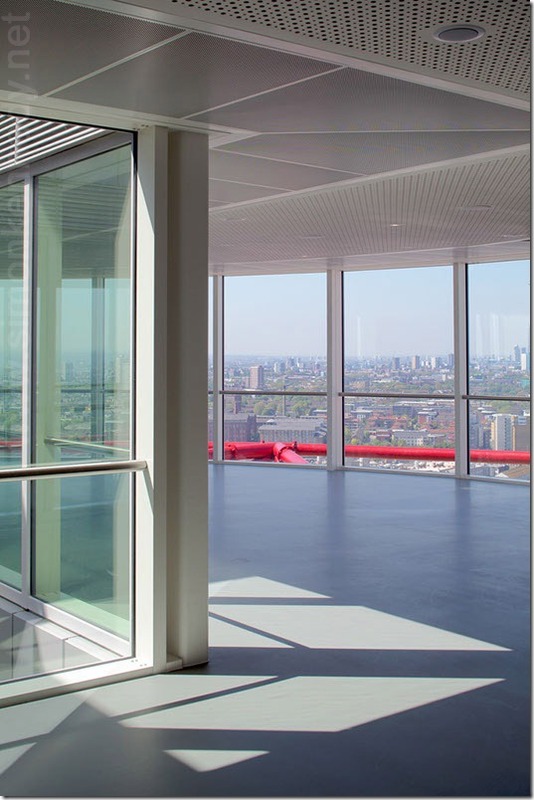 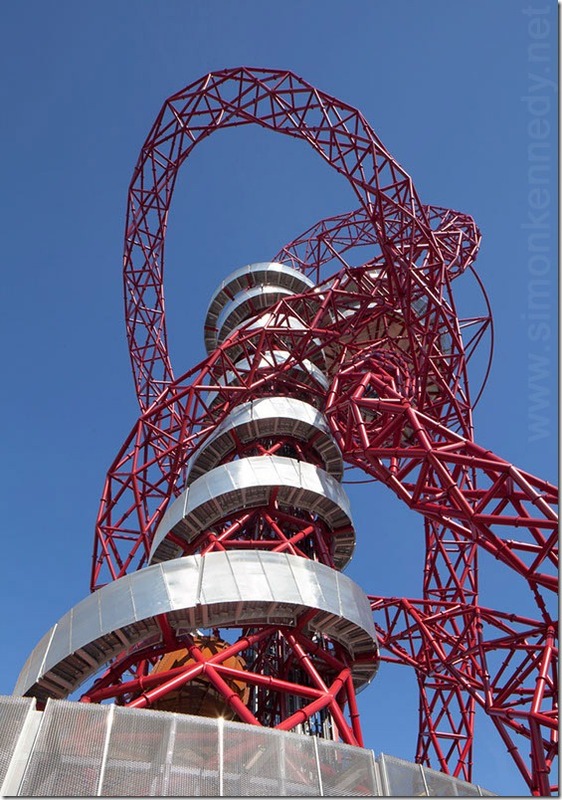 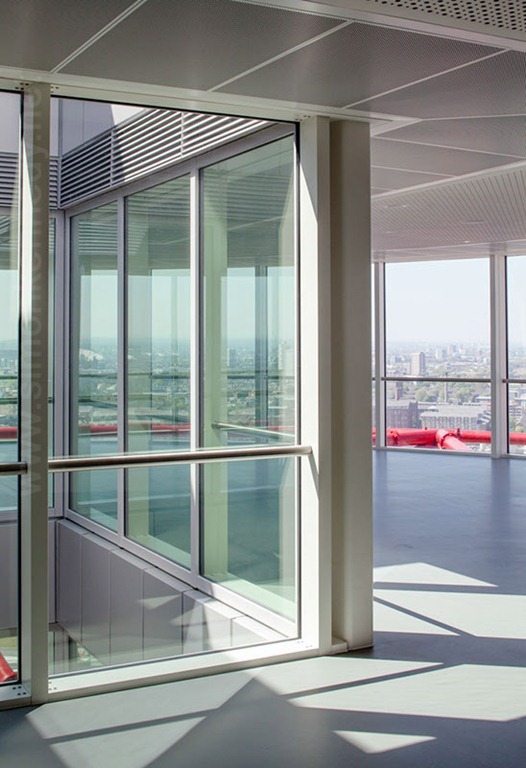 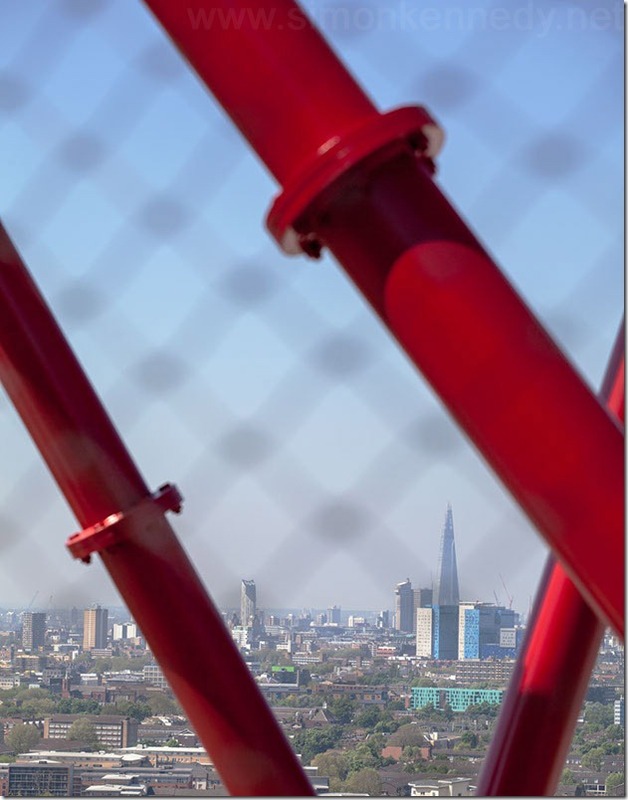 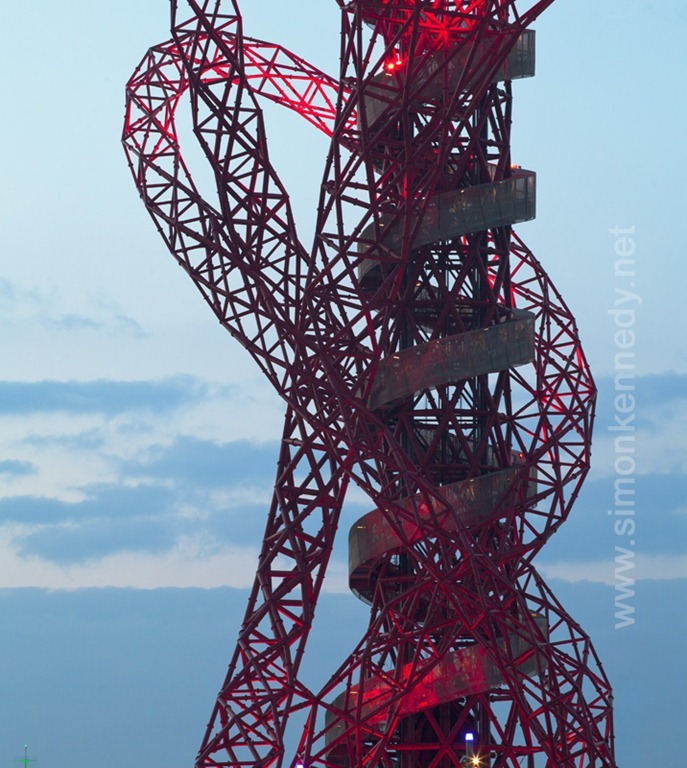 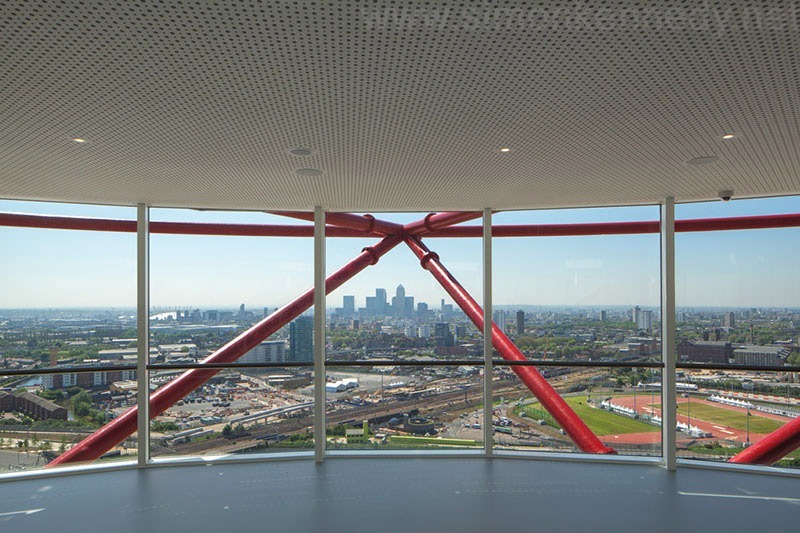 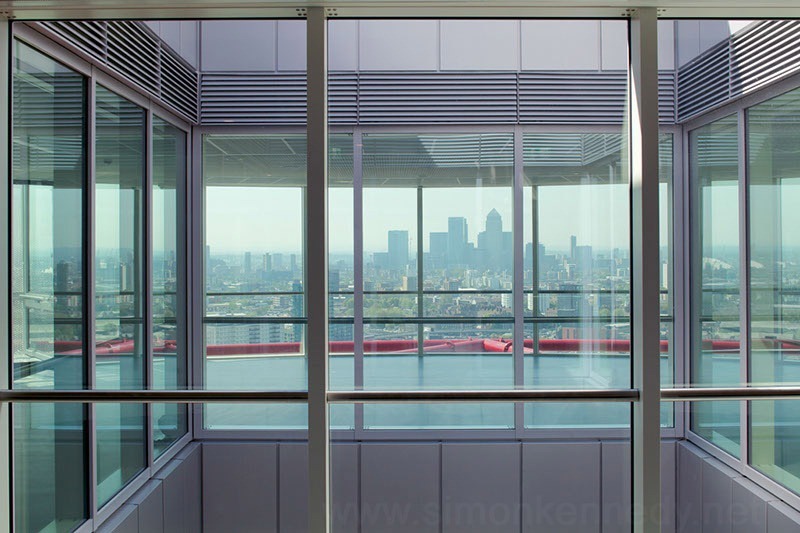 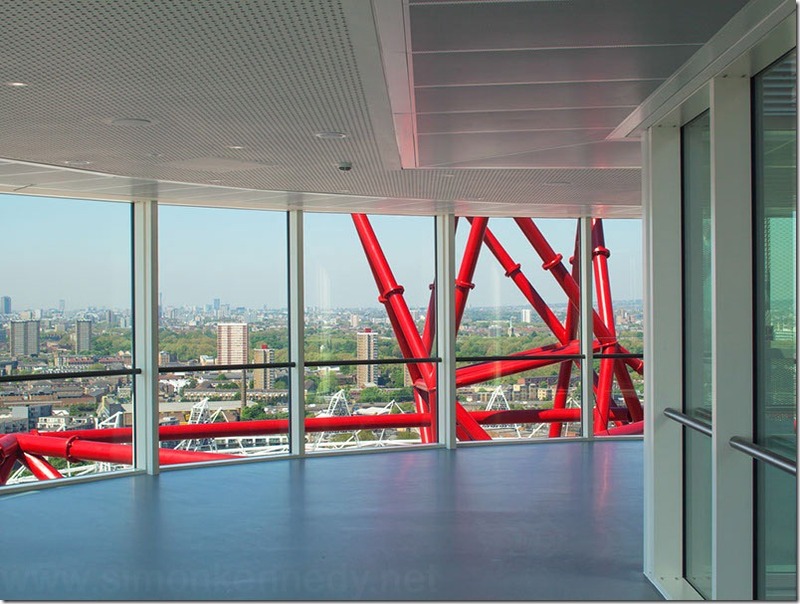 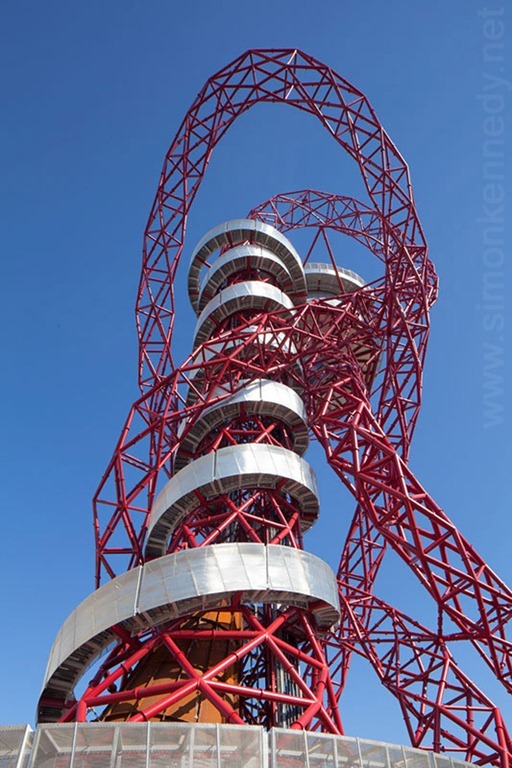 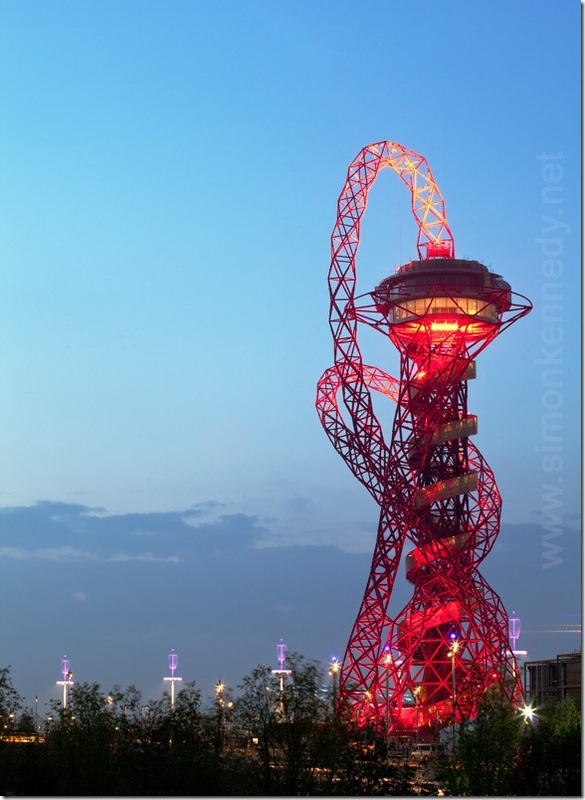 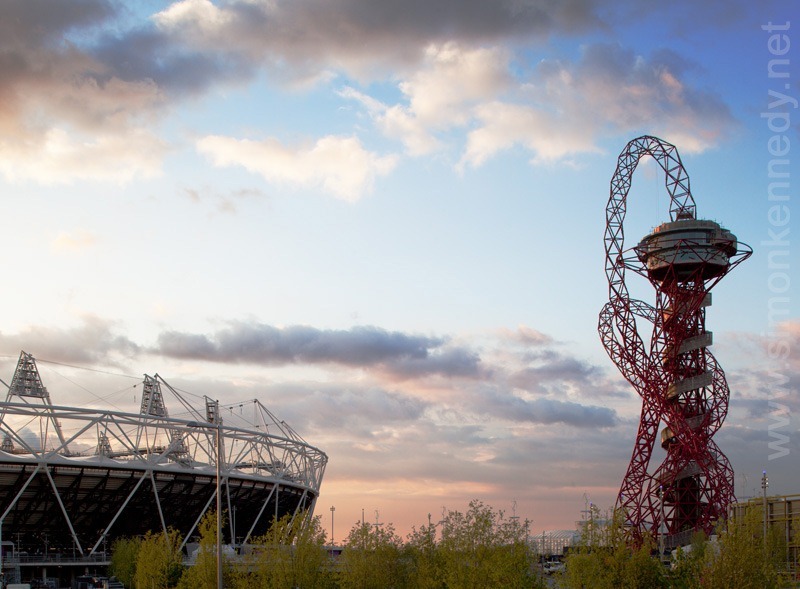 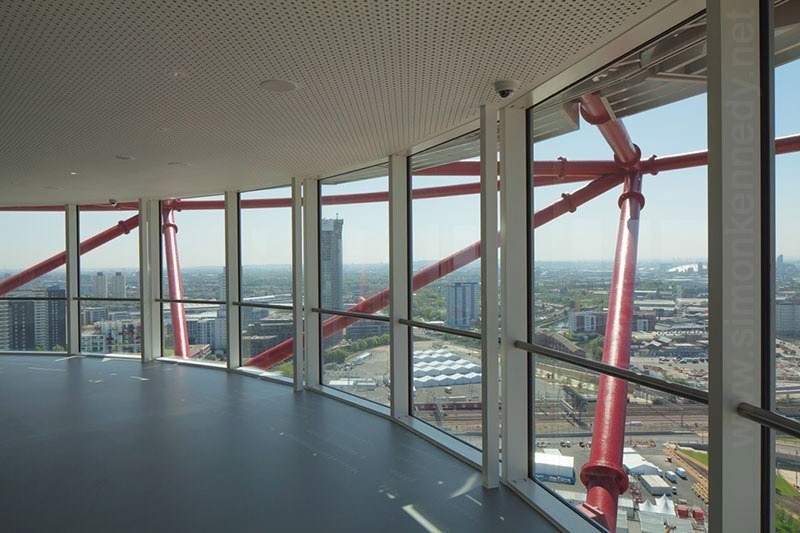 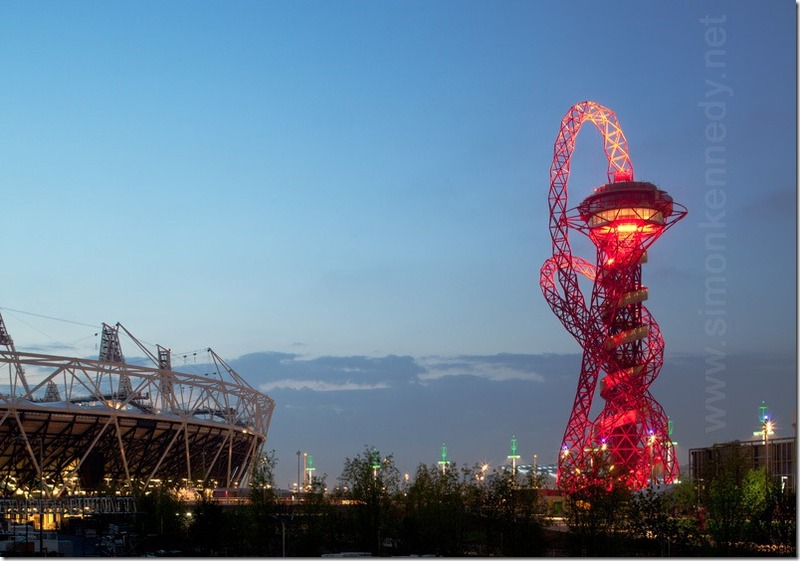 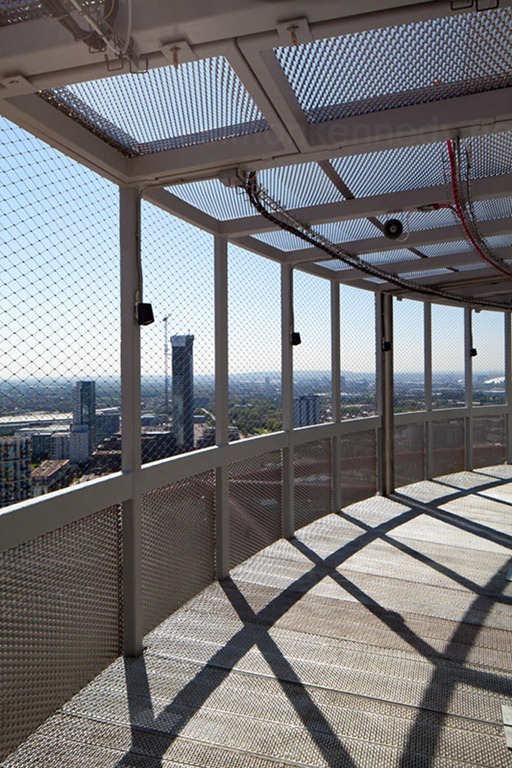 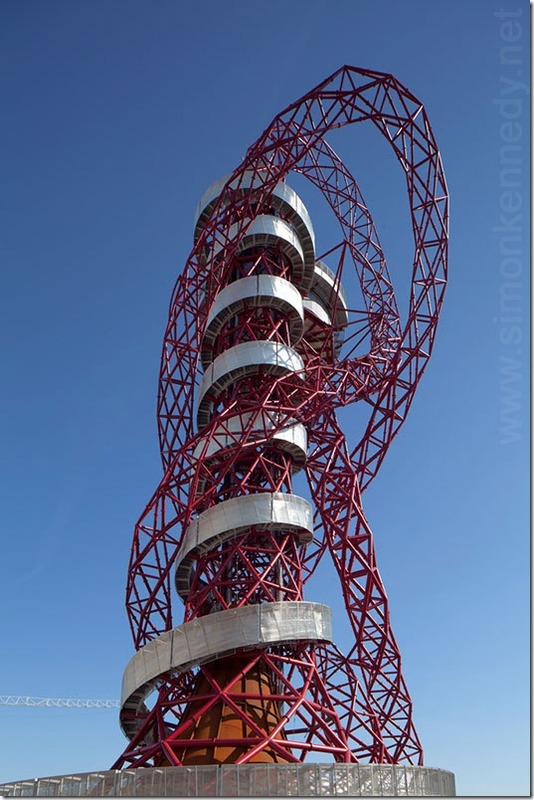 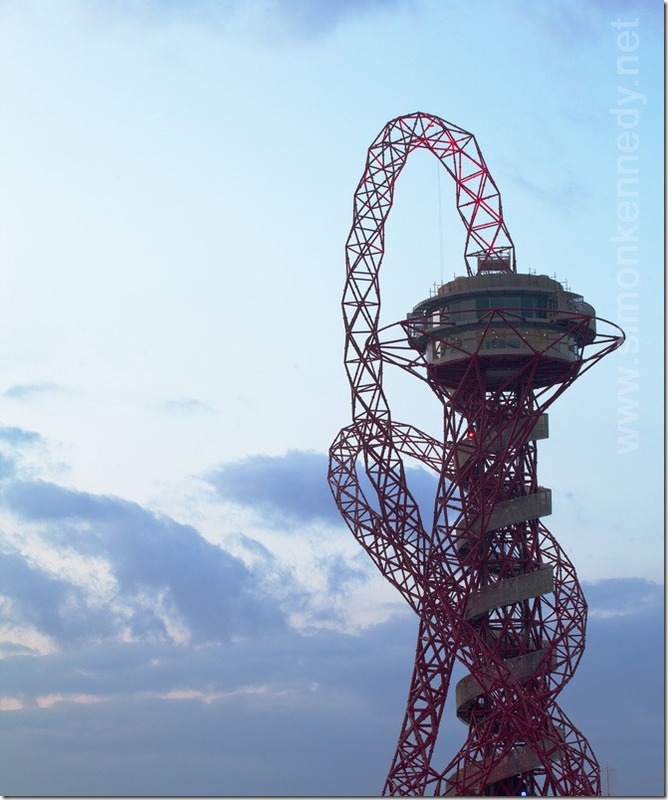 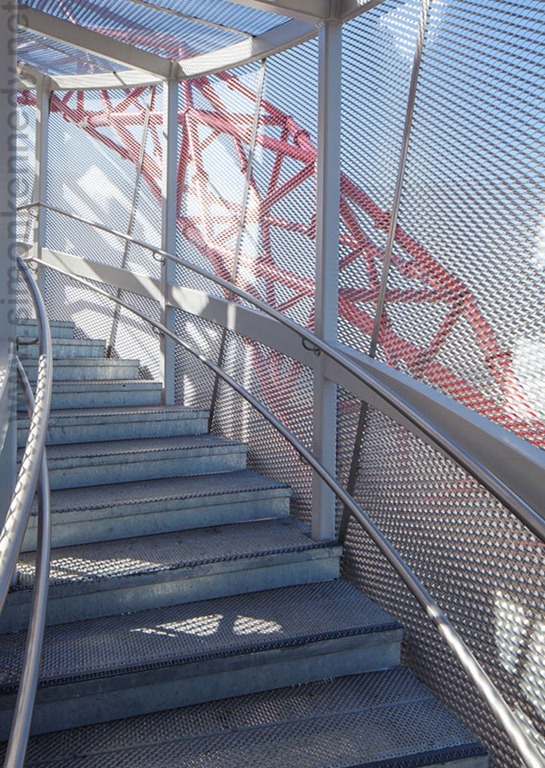 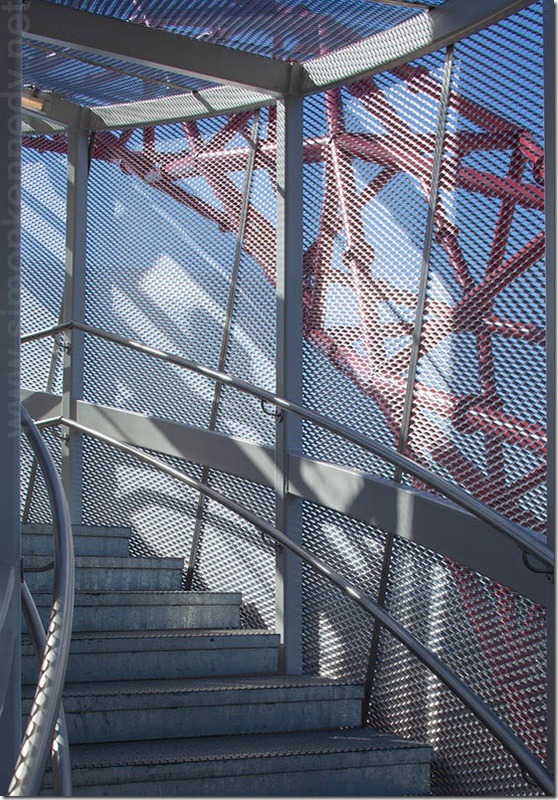 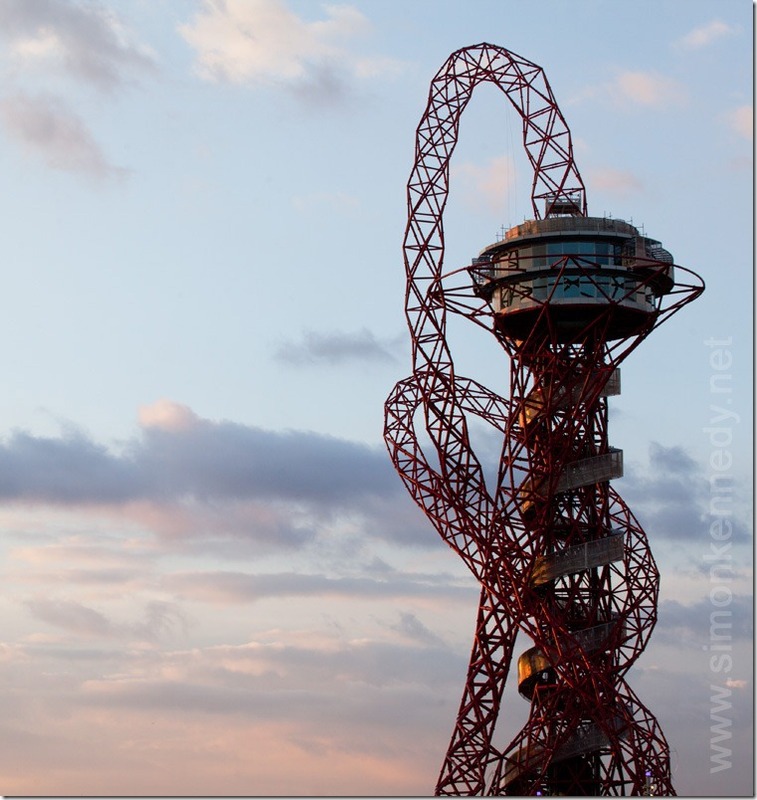 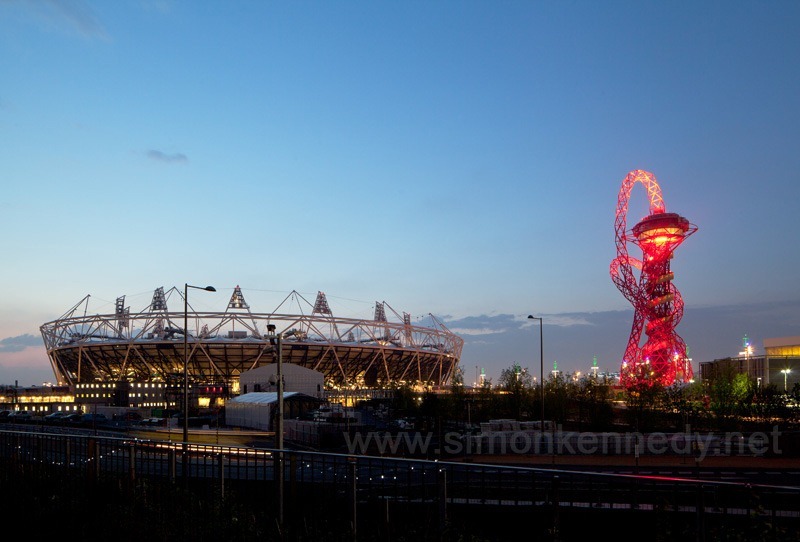 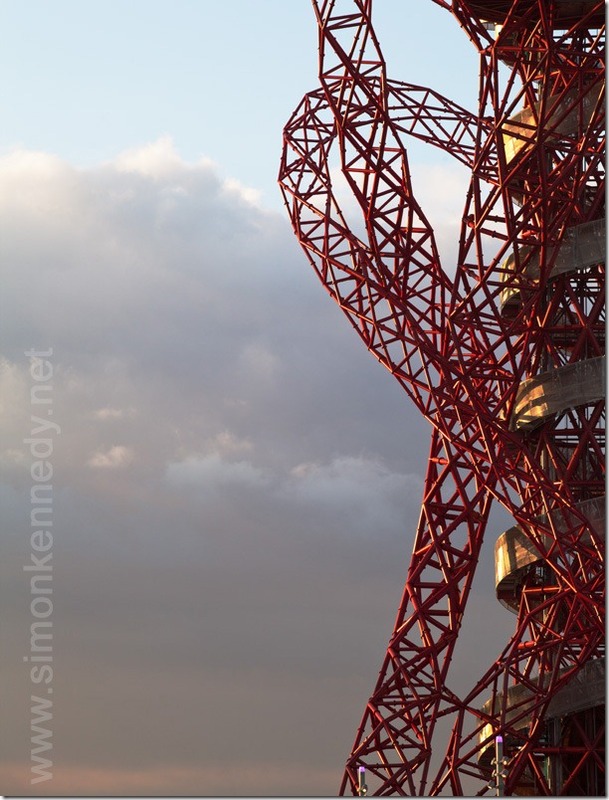 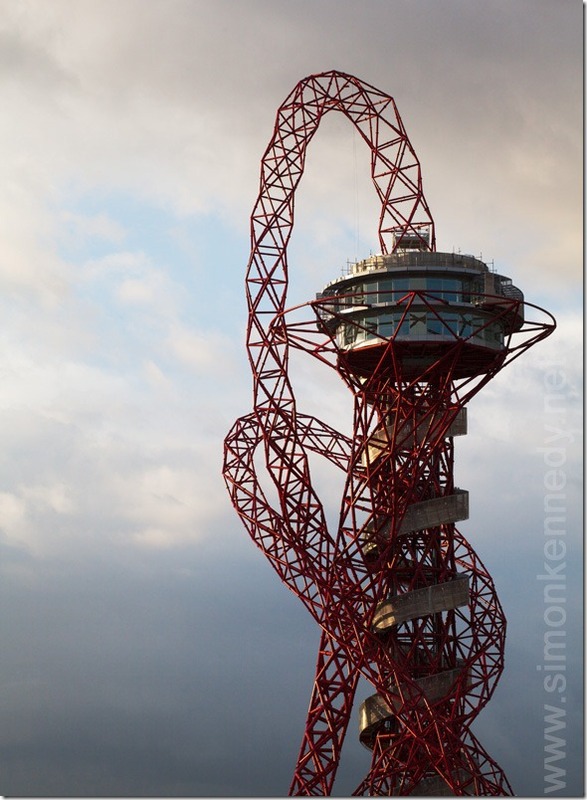 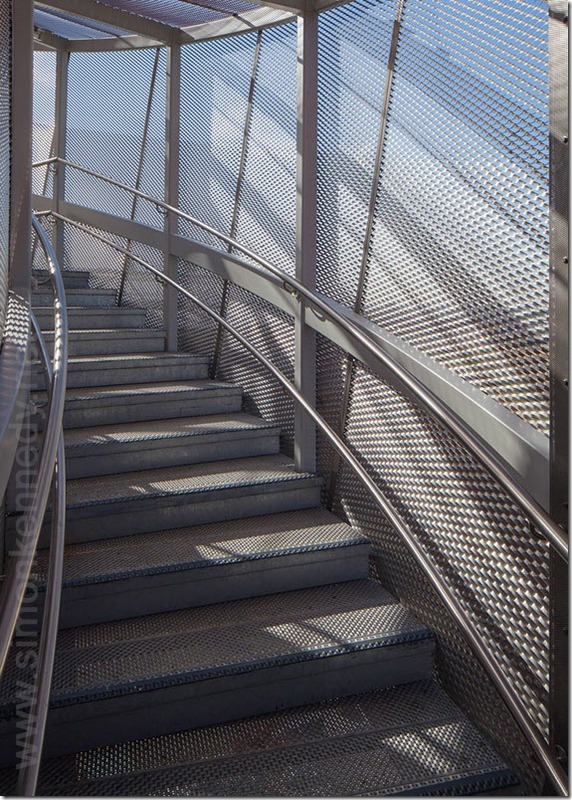 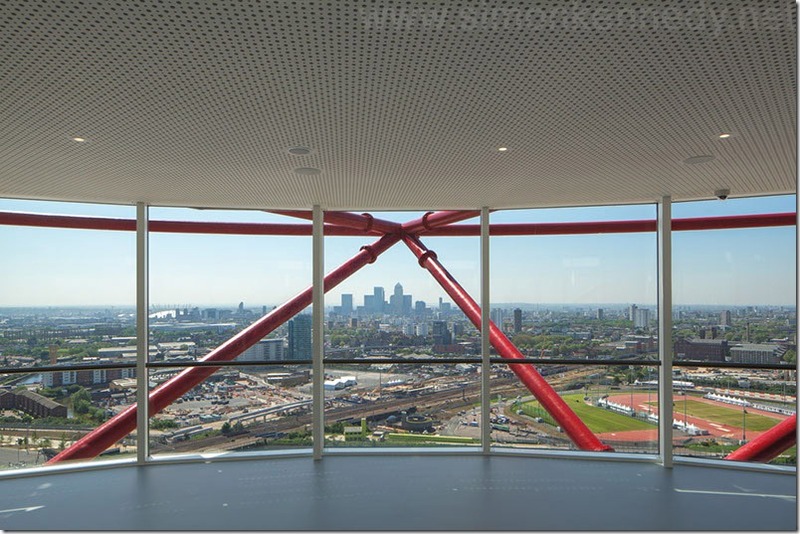 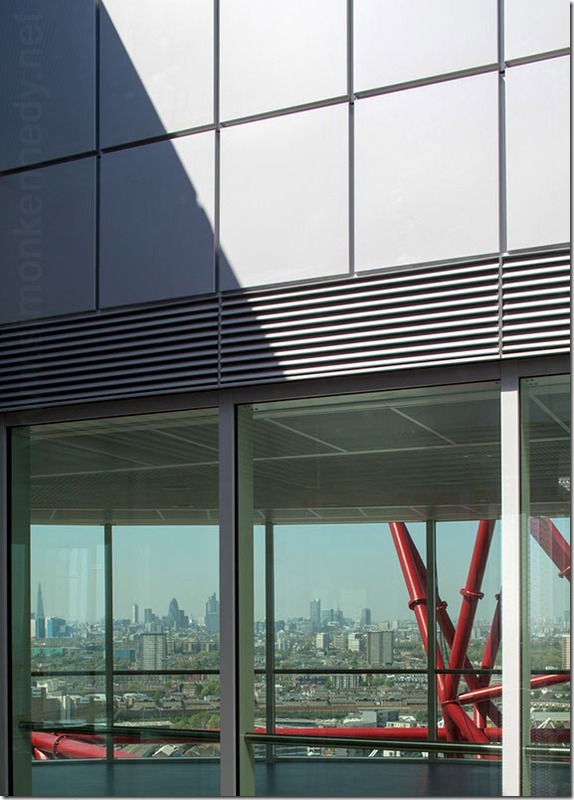 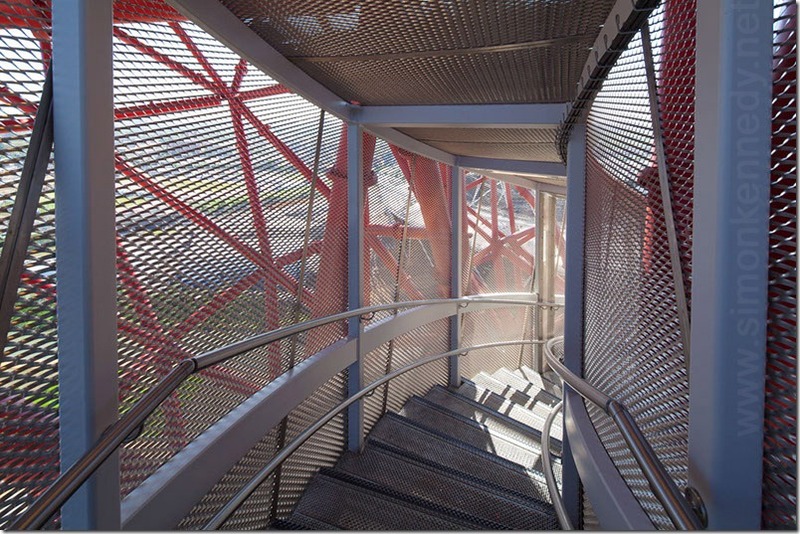 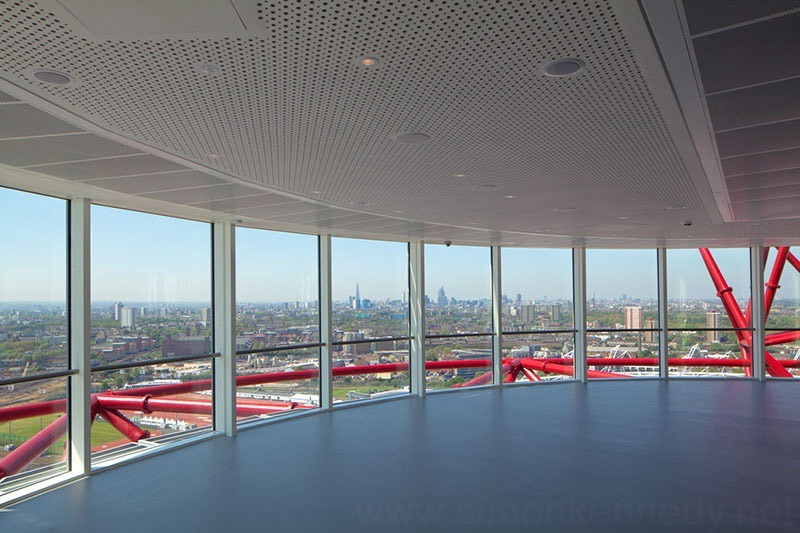 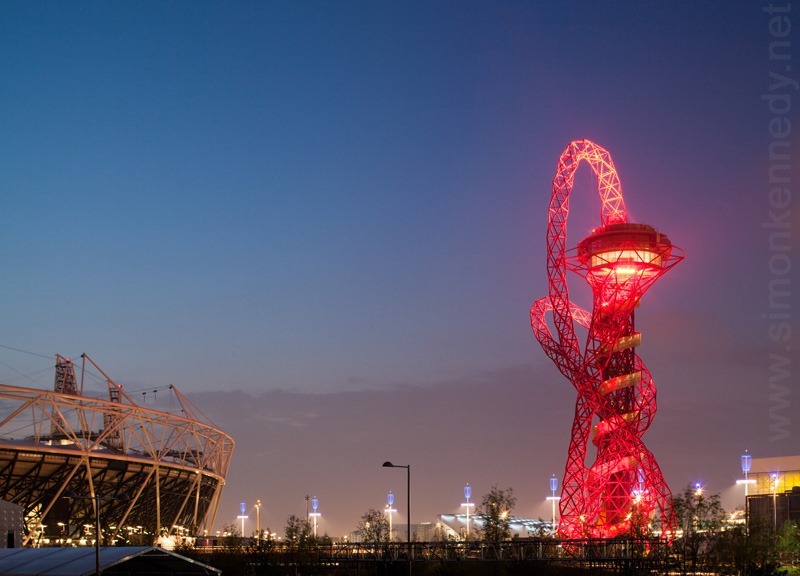 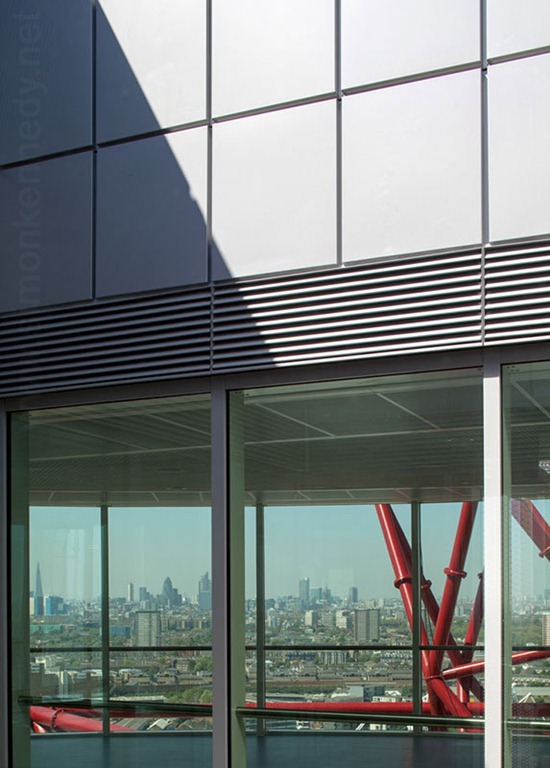 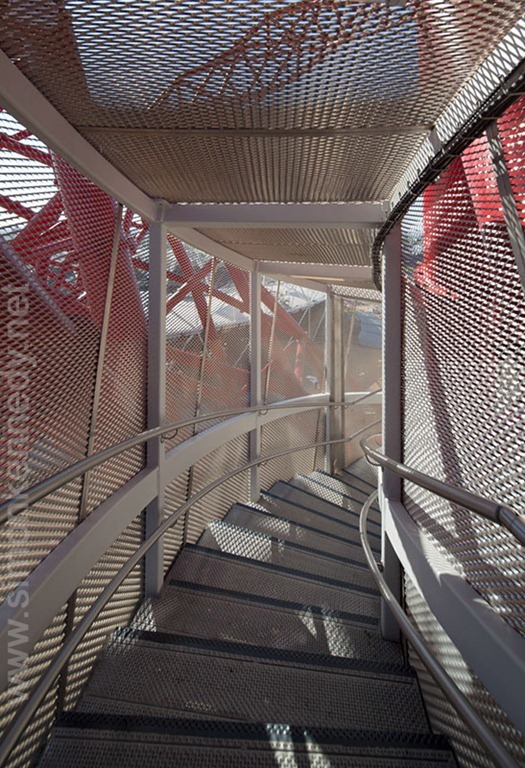 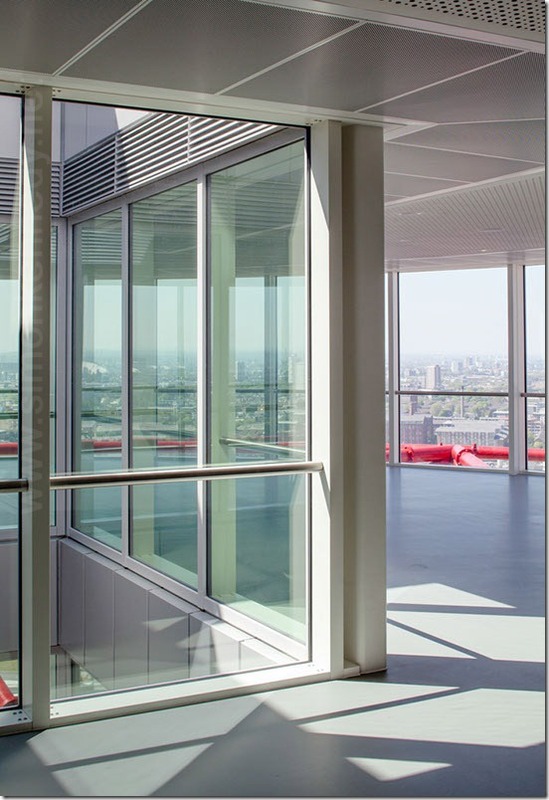 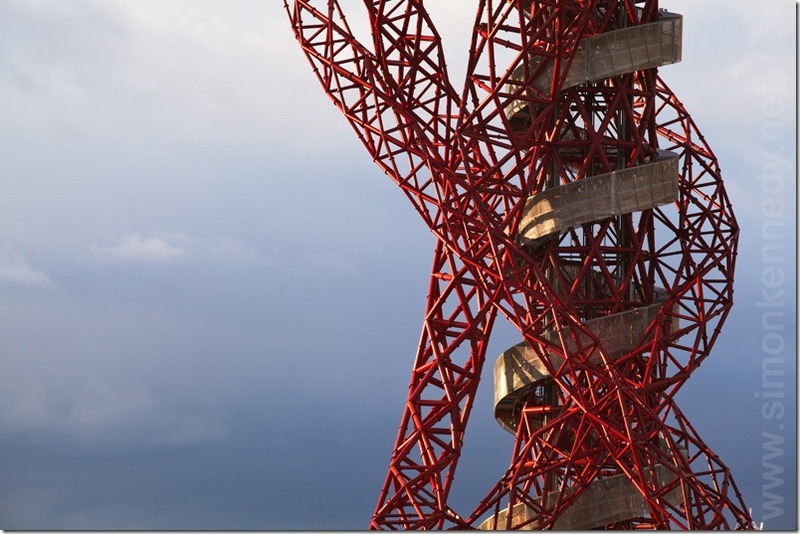 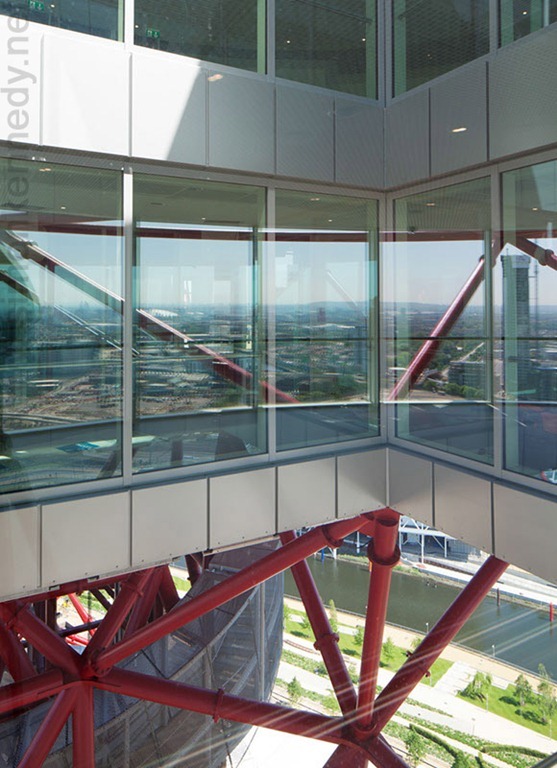 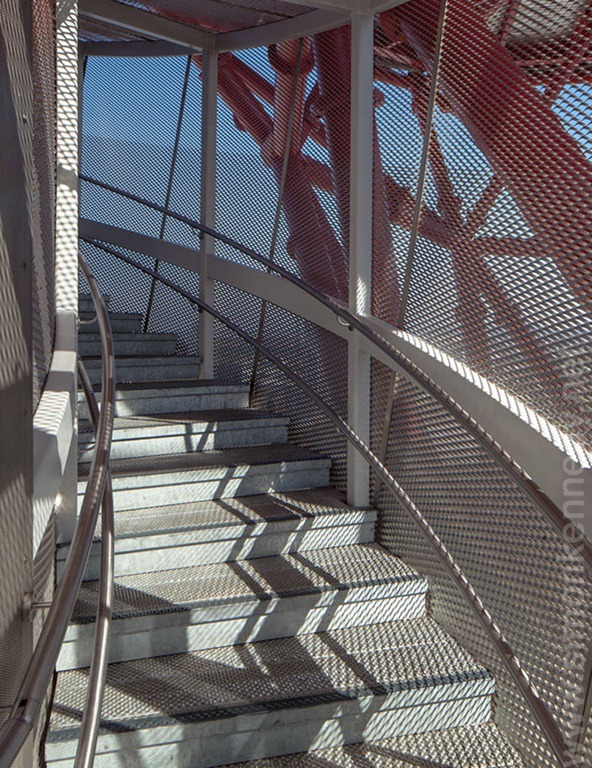 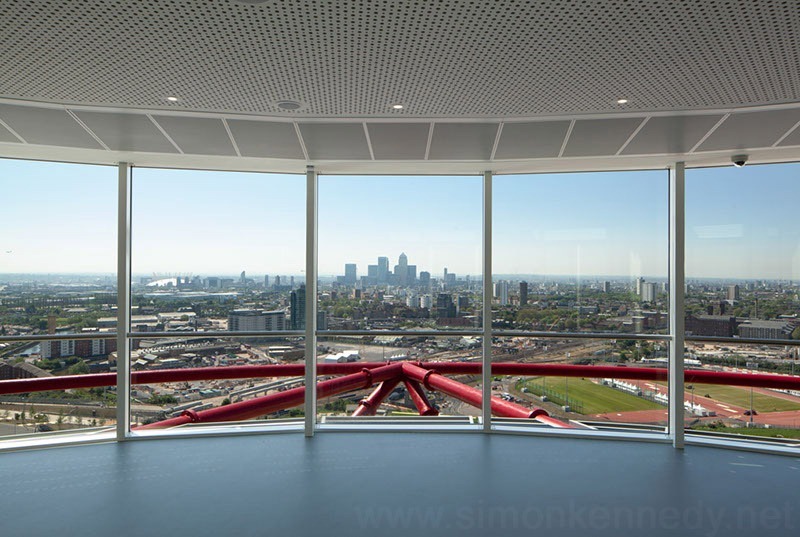 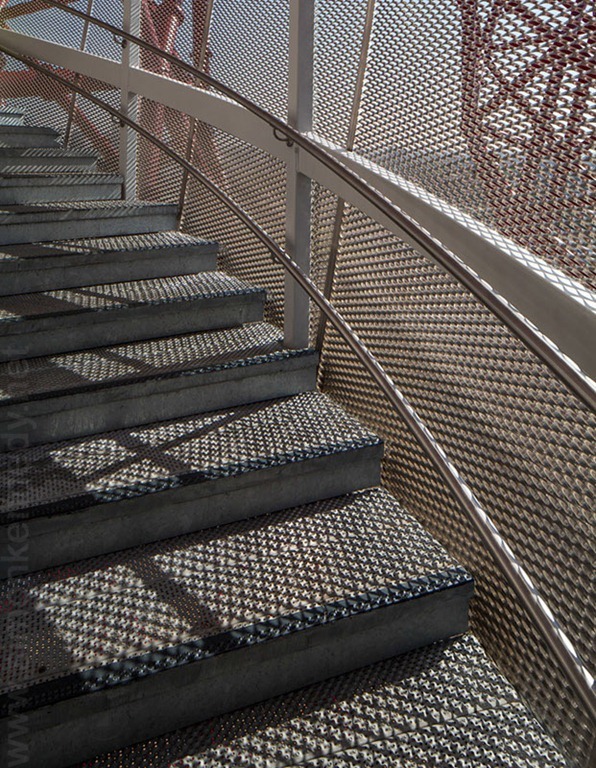 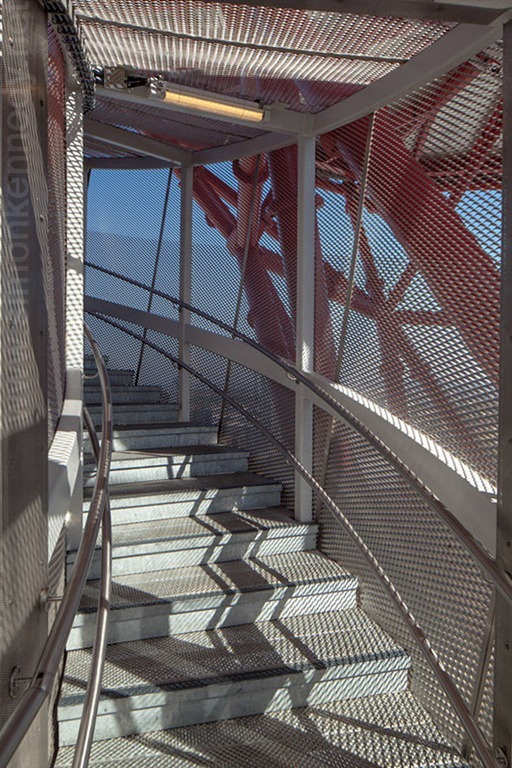 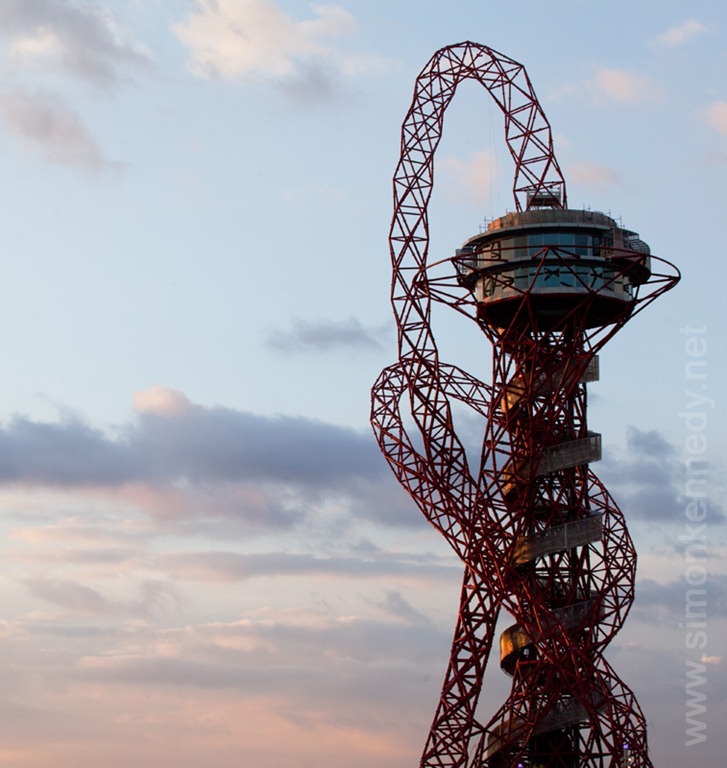 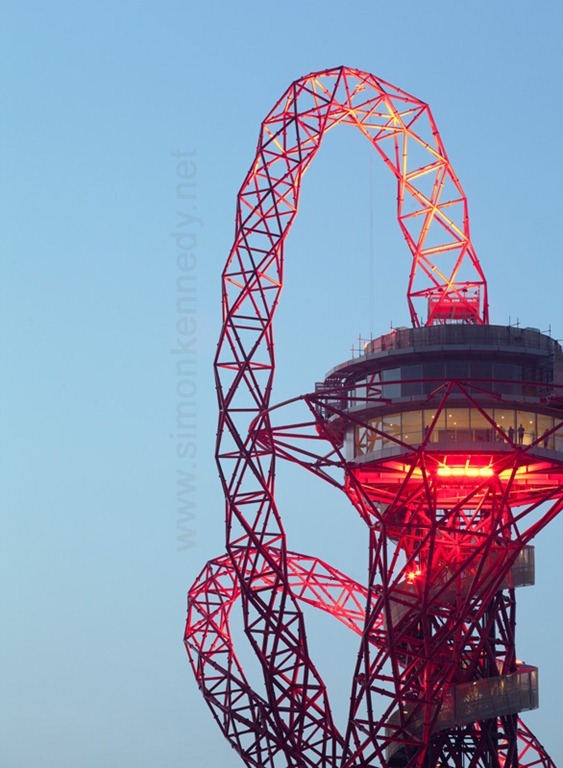 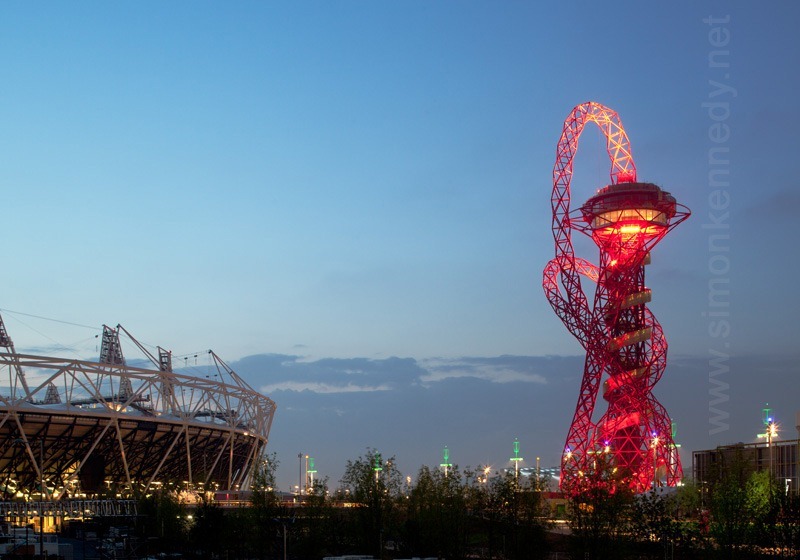 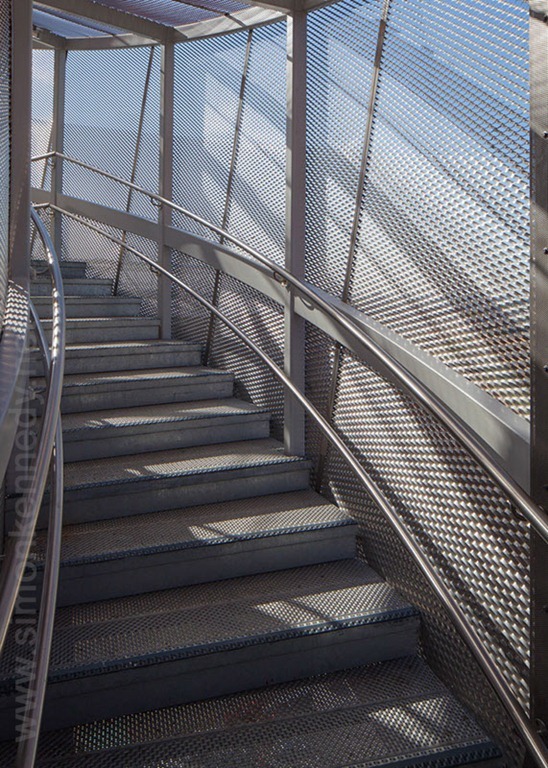 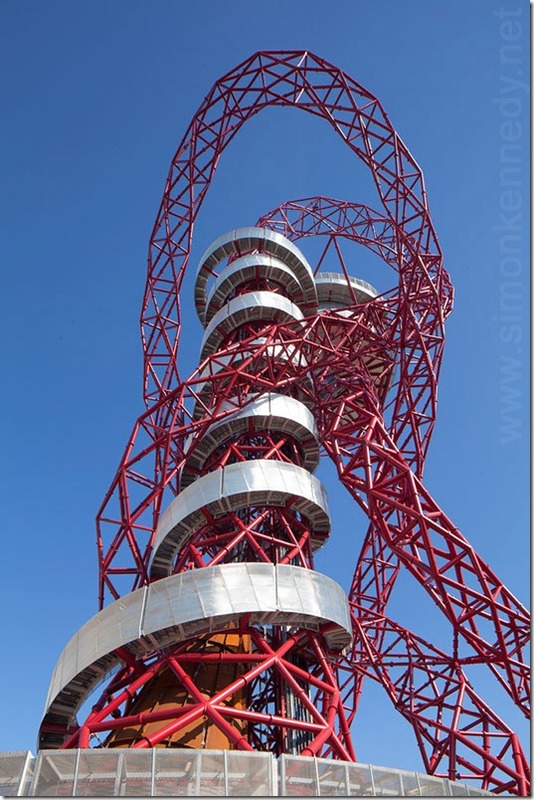 The Orbit is well worth a visit, the staircase intertwined with the dynamic red-painted steel structural elements is a particularly enjoyable architectural experience, and the architecture of the observation decks is elegantly minimal. 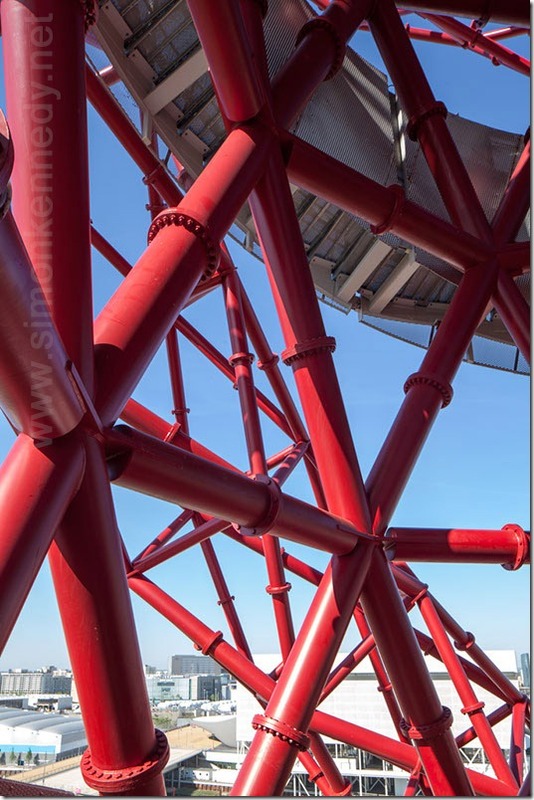 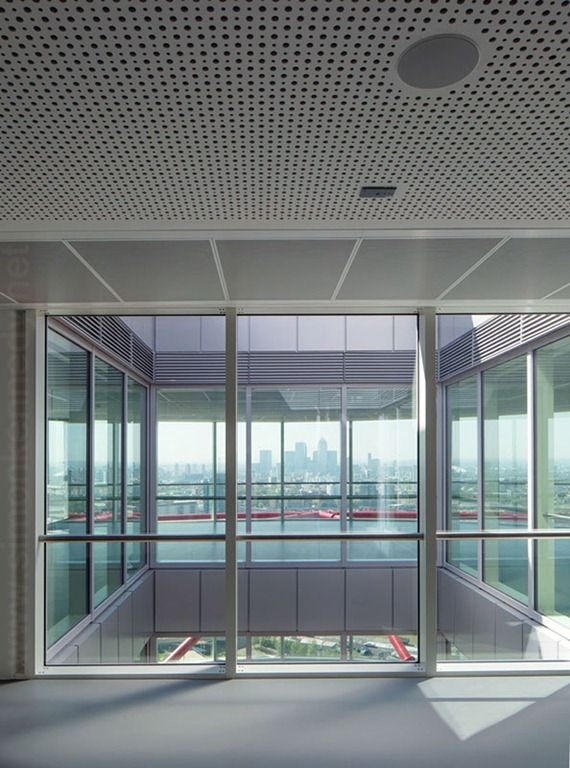 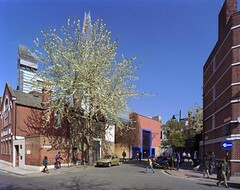 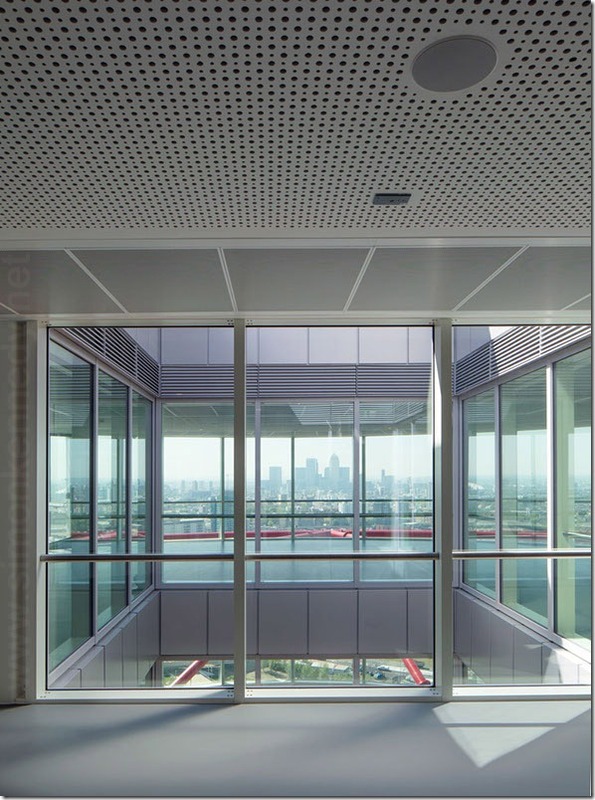 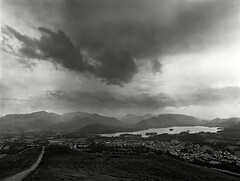 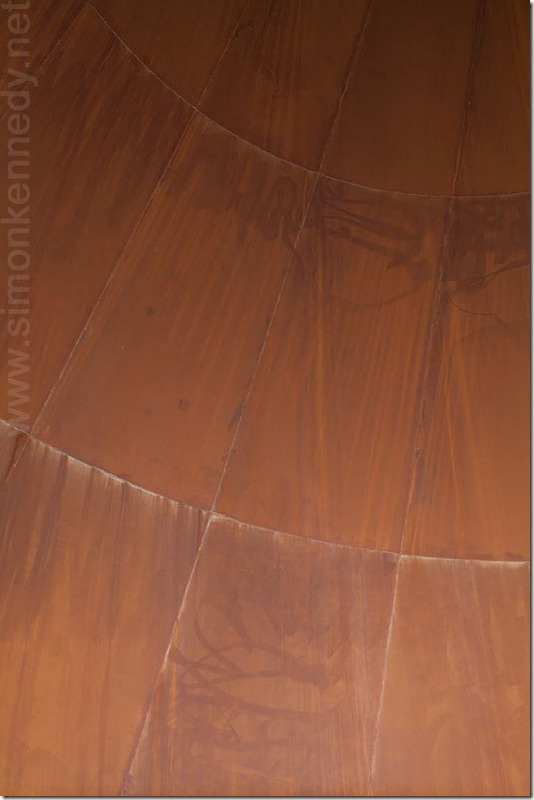 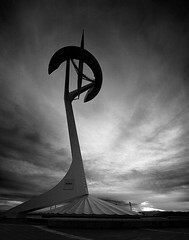 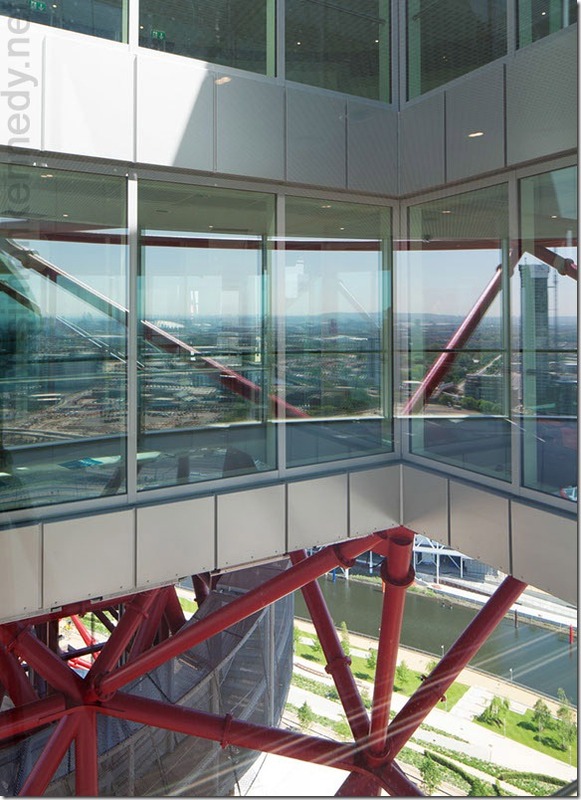 001 The Orbit – this image made the front cover of the Architect’s Journal. 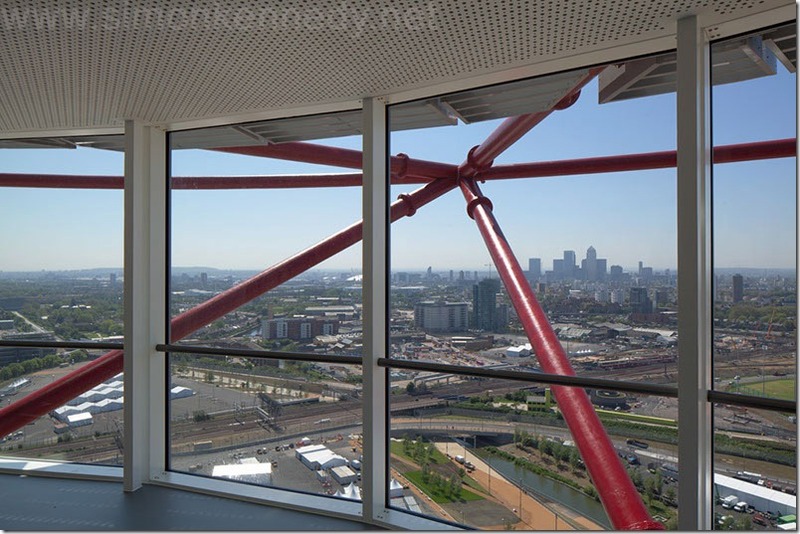 005 Architectural photography showing views from the Orbit of the Olympic park and over to Canary Wharf. 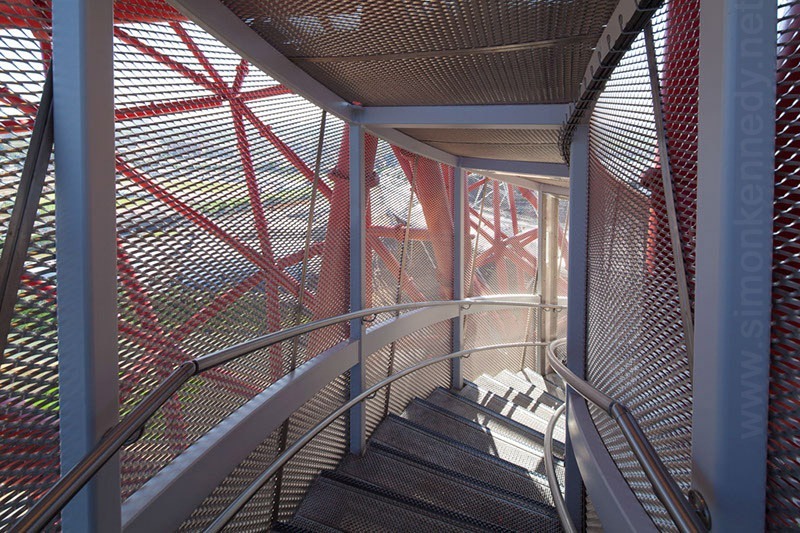 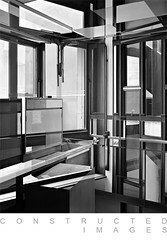 010 The Ushida Findlay Architects-designed interior of the observation deck, showing the central atrium or annulus. 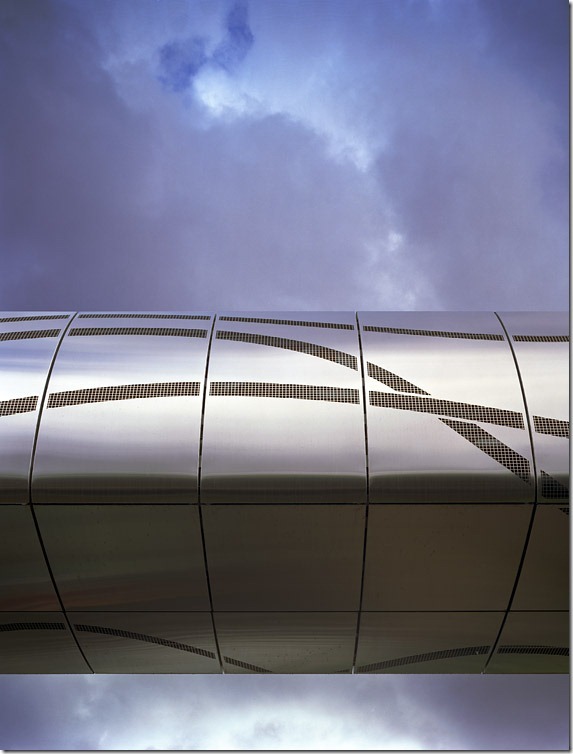 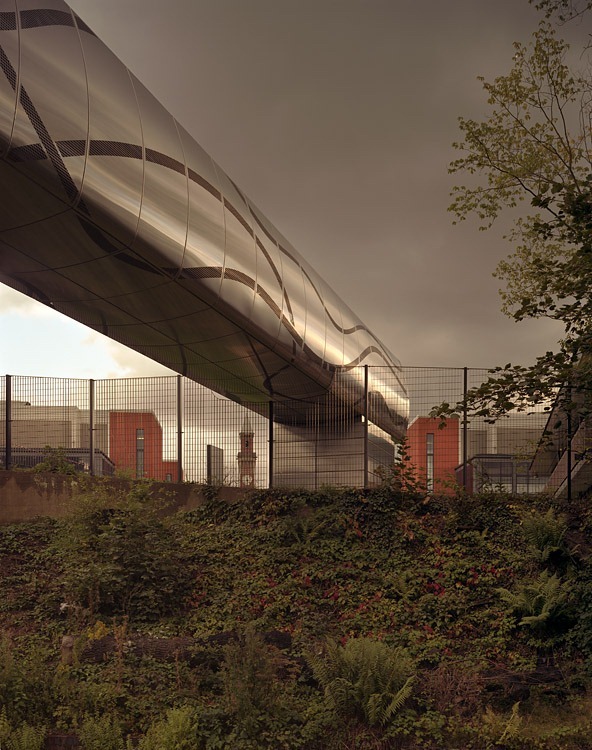 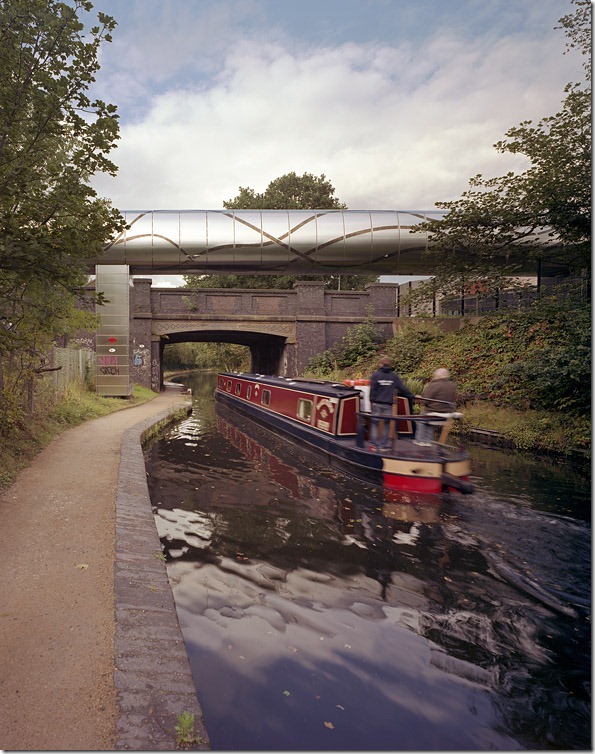 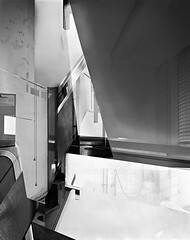 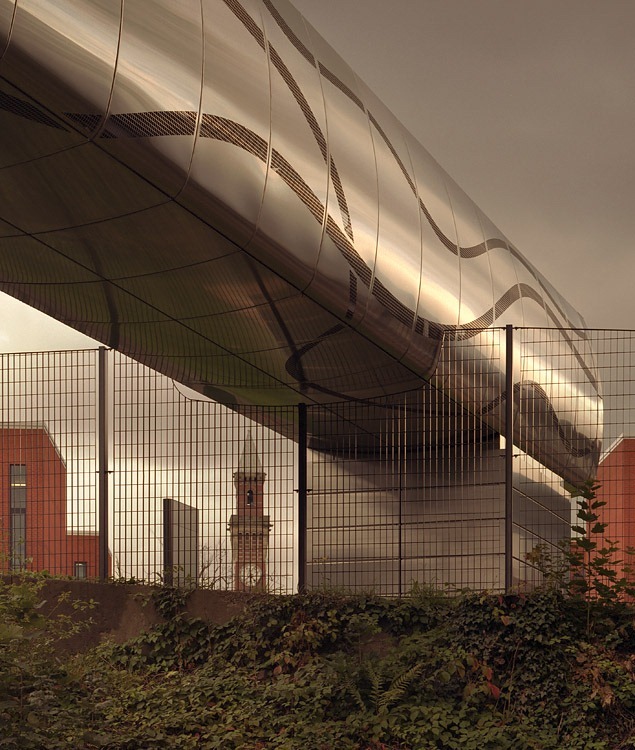 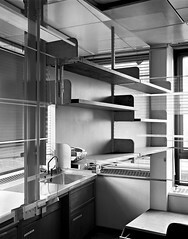 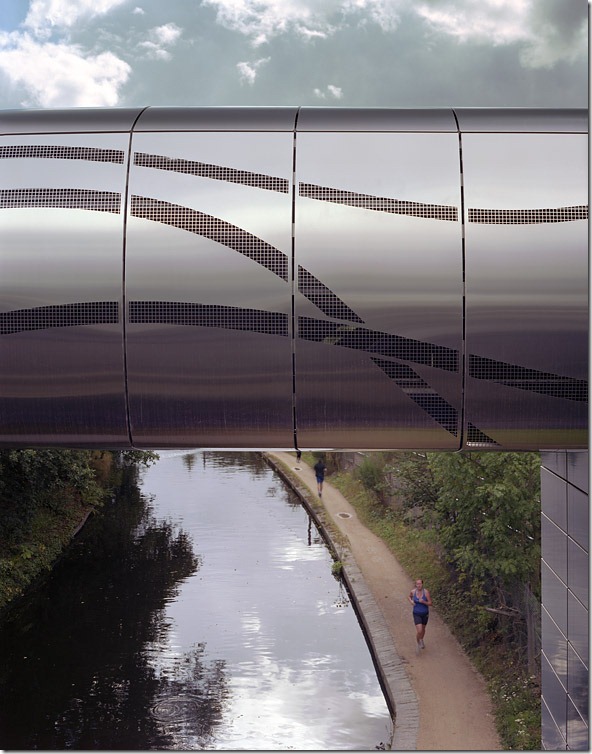 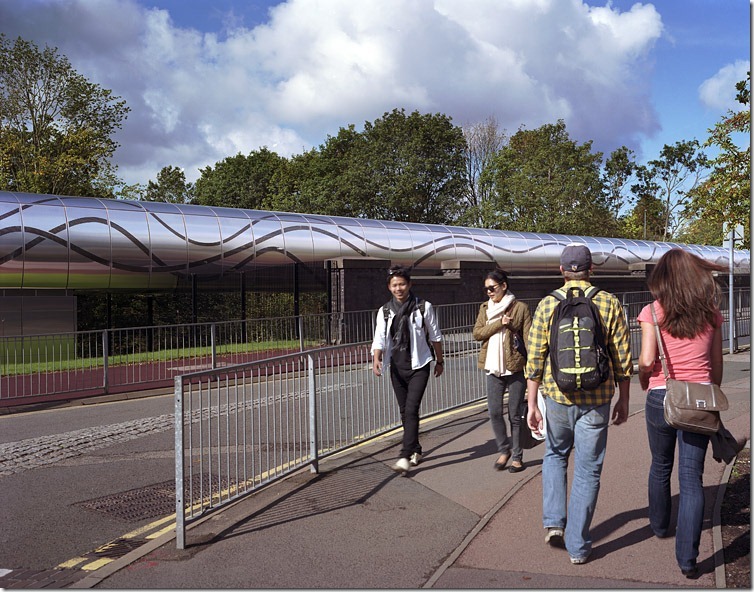 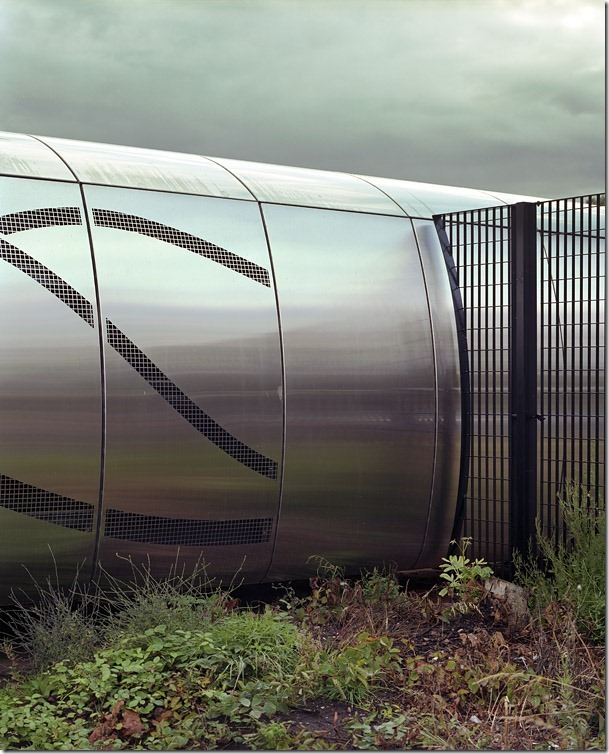 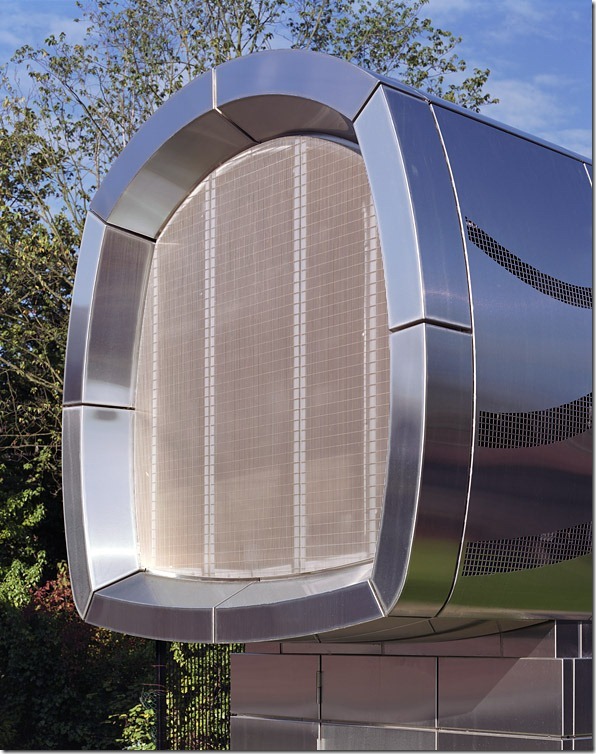 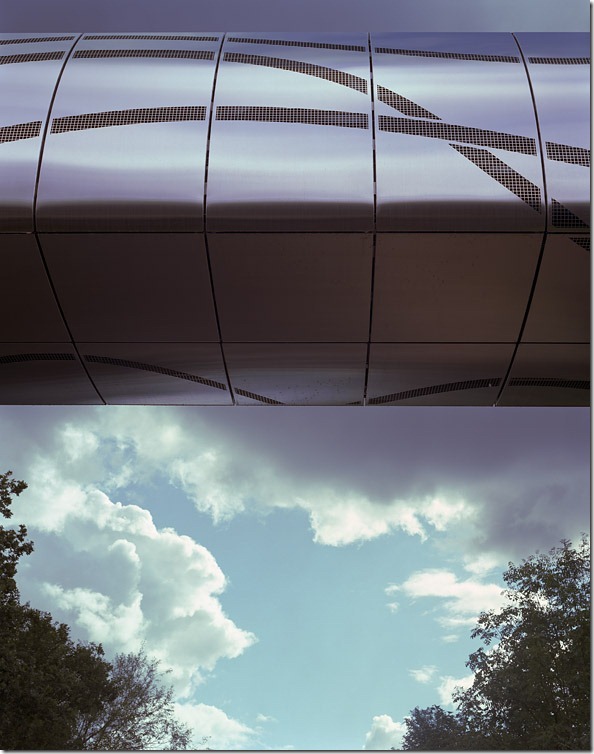 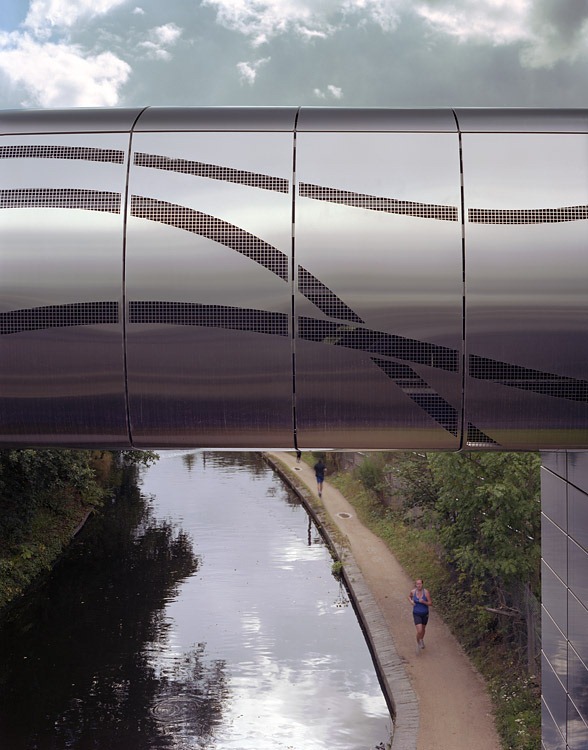 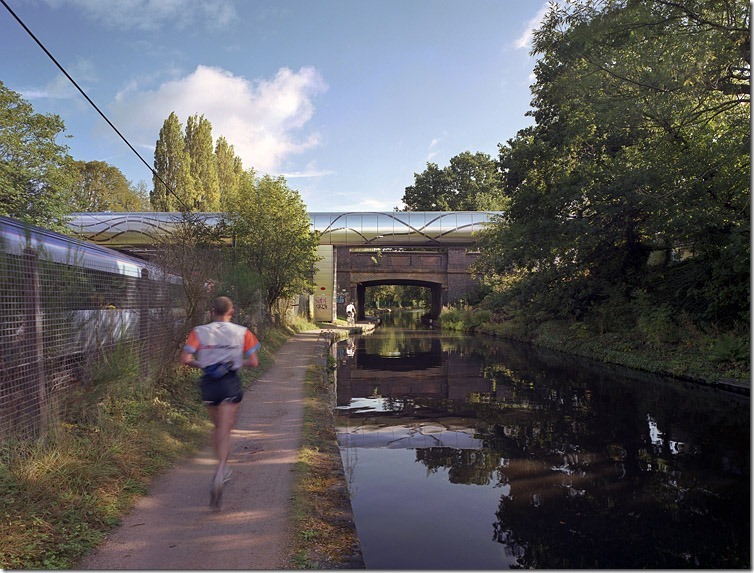 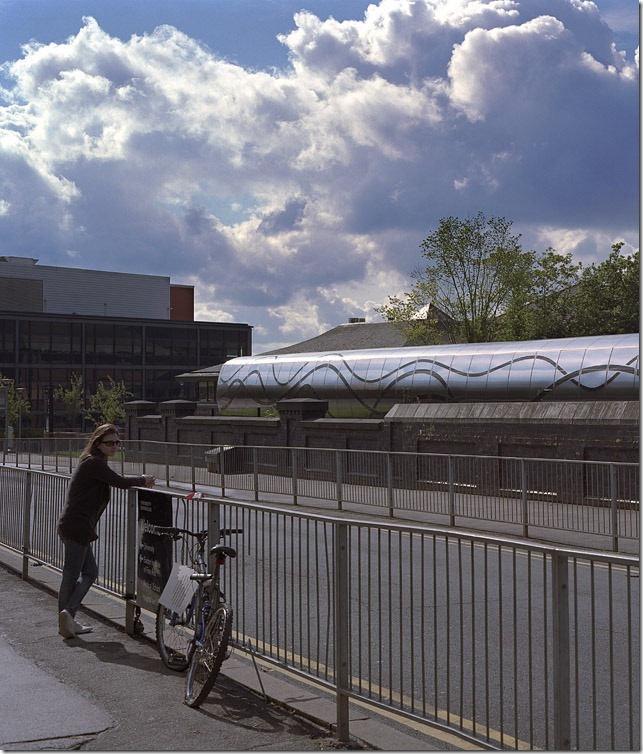 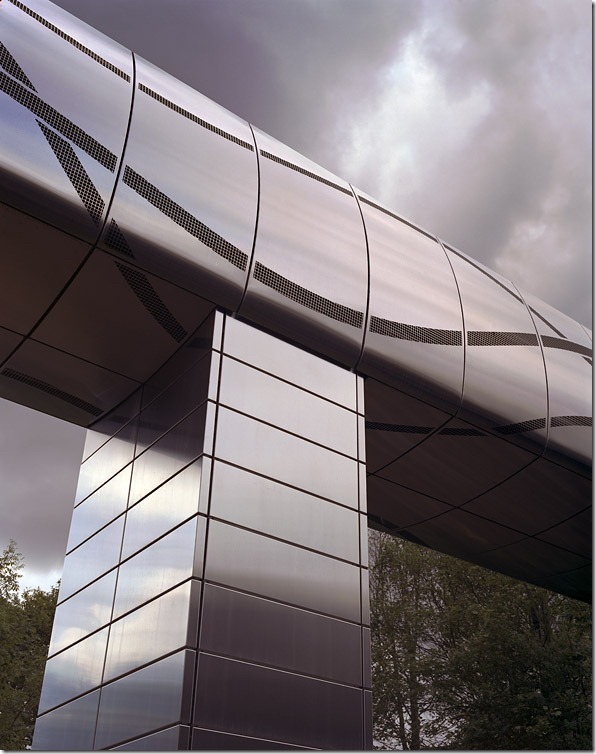 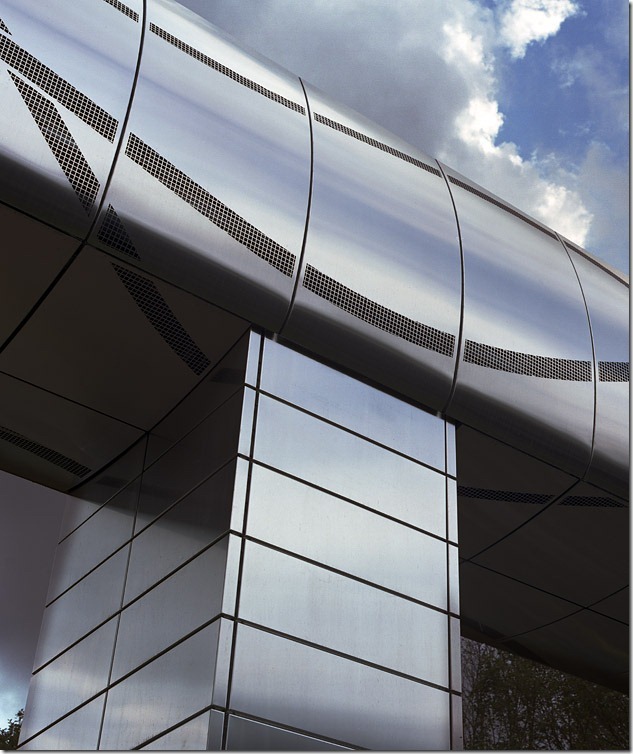 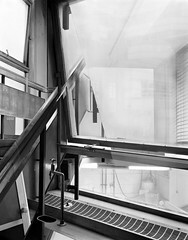 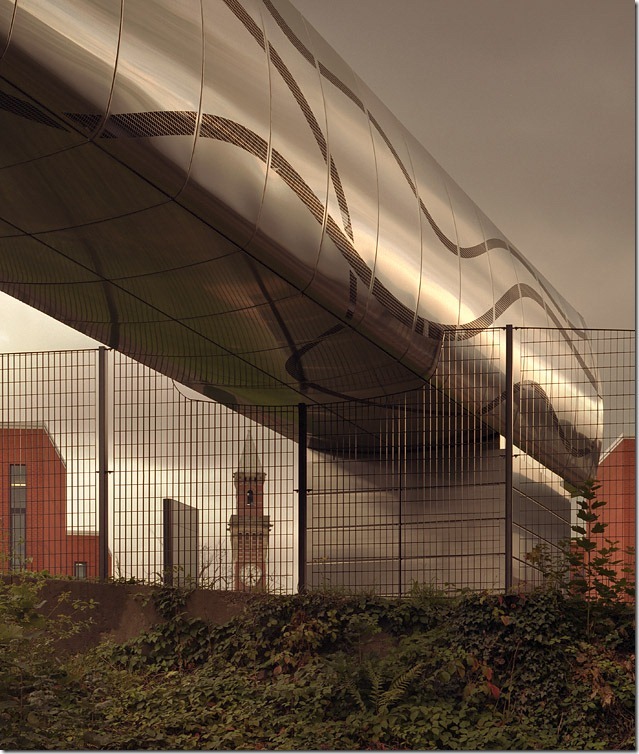 Architectural Photography of MJP Architects Steam Bridge, University of Birmingham. 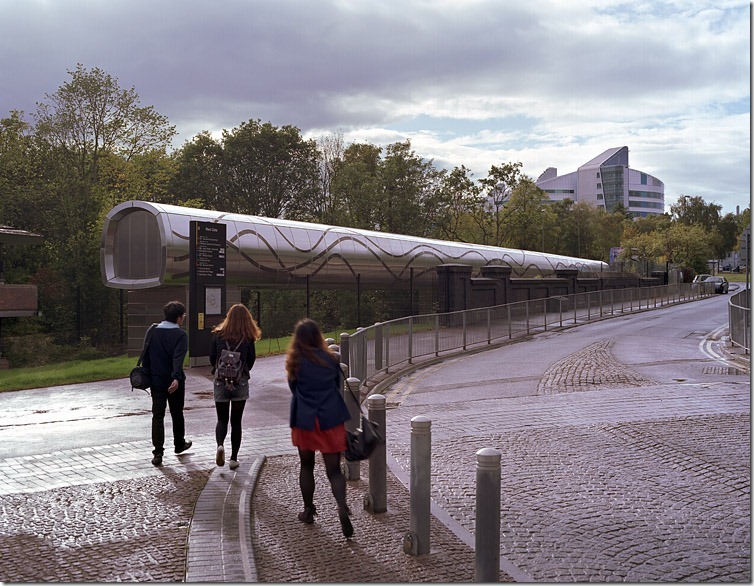 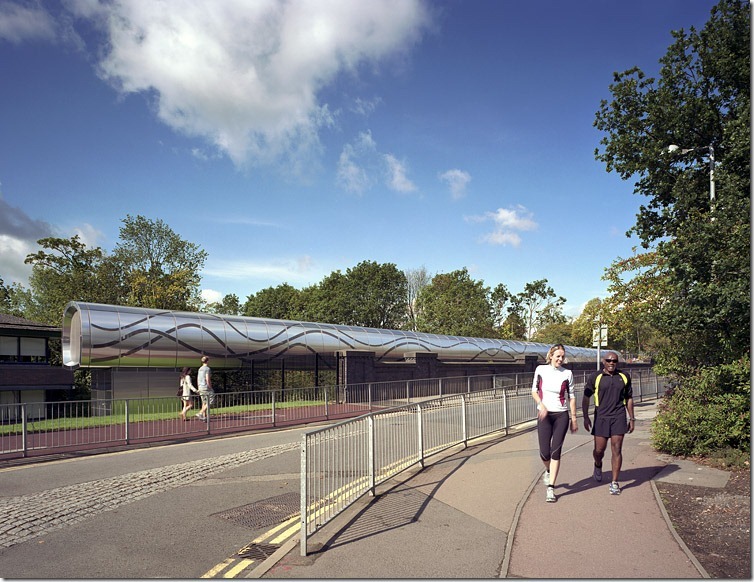 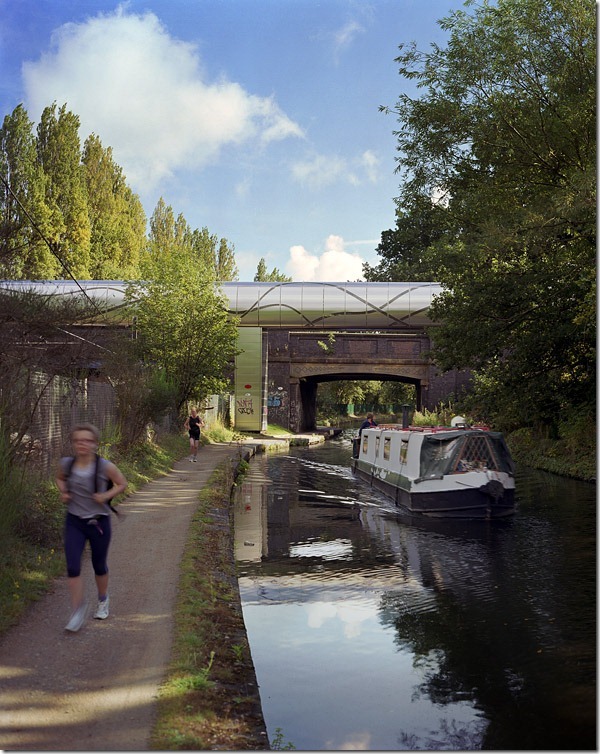 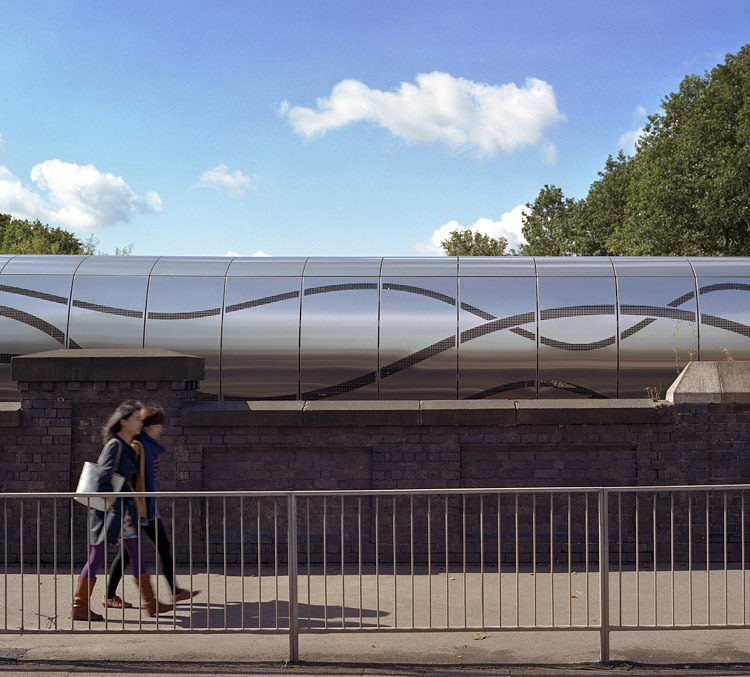 This bridge is an important part of a scheme by the University of Birmingham, aiming to refurbish and extend their combined heating and power network. 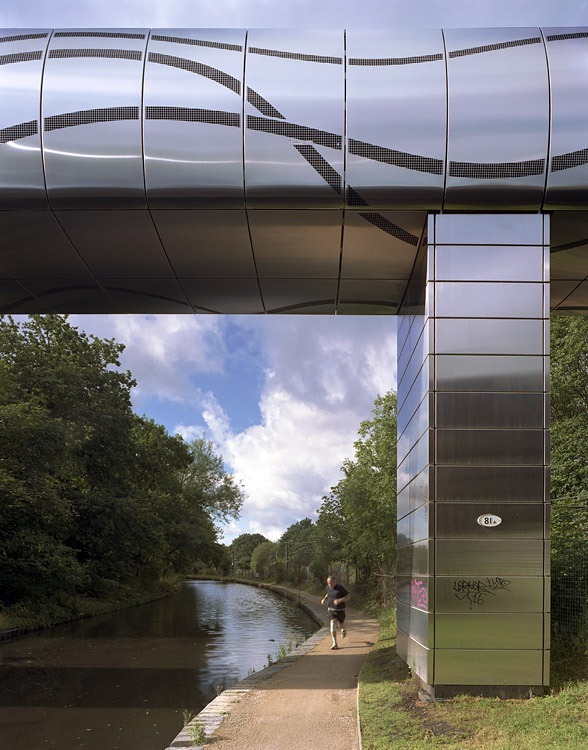 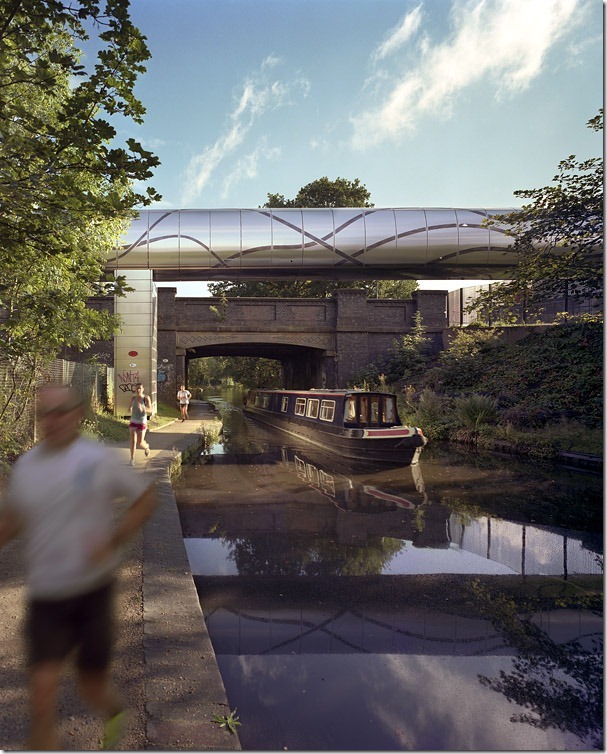 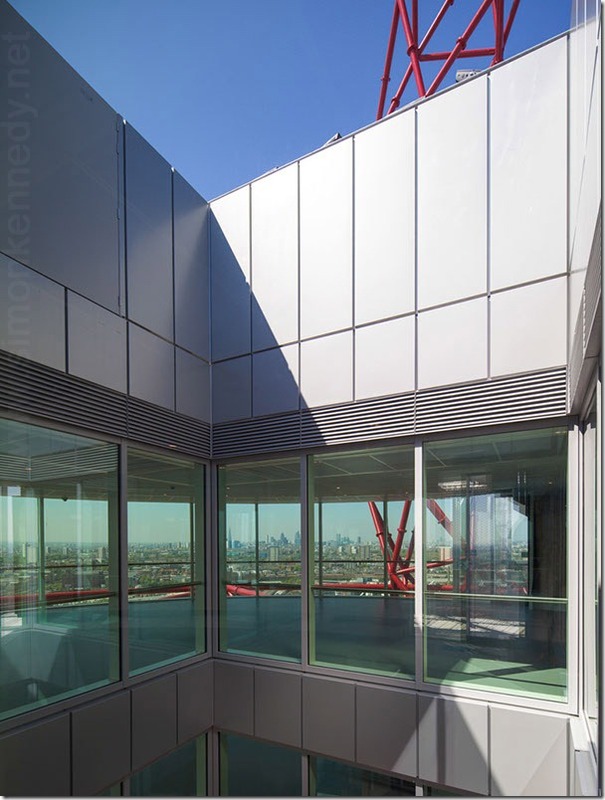 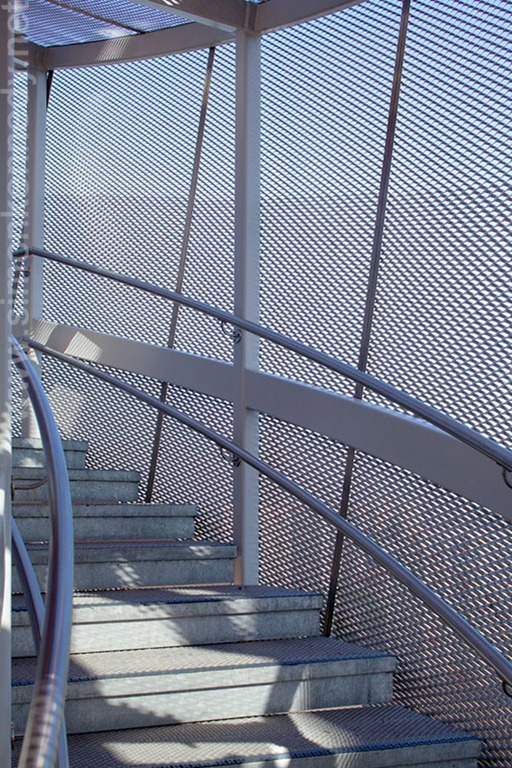 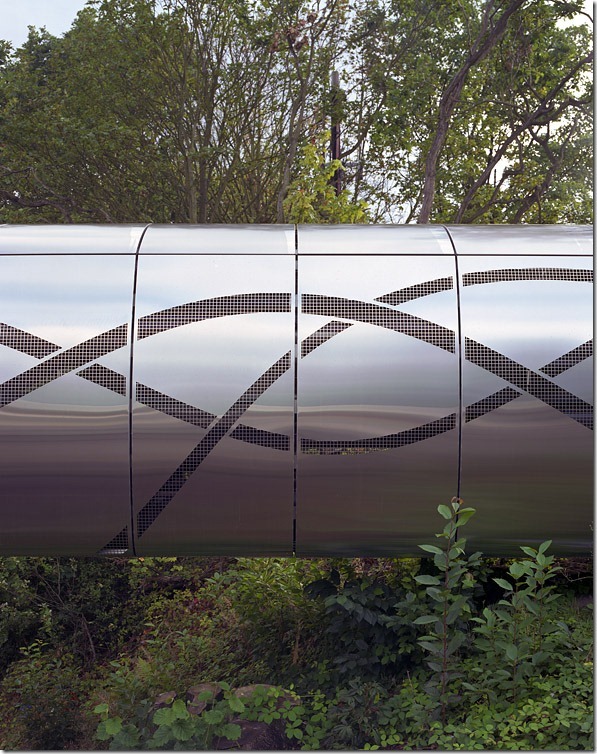 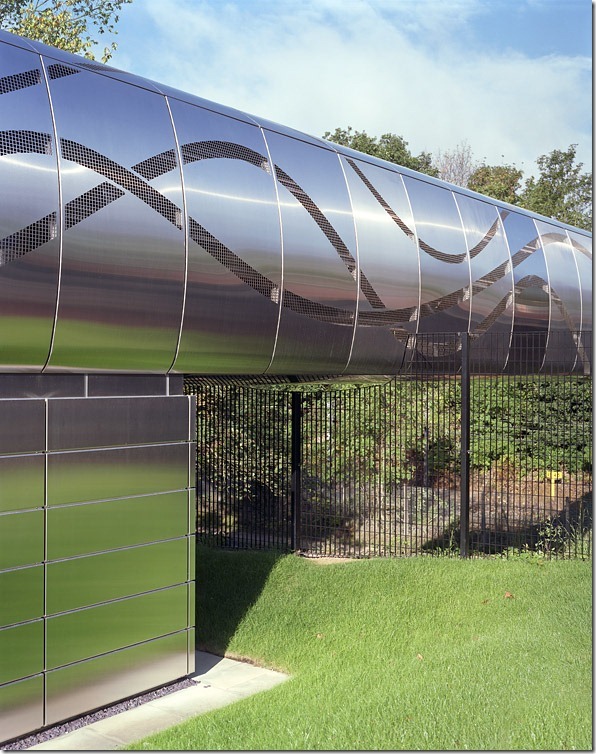 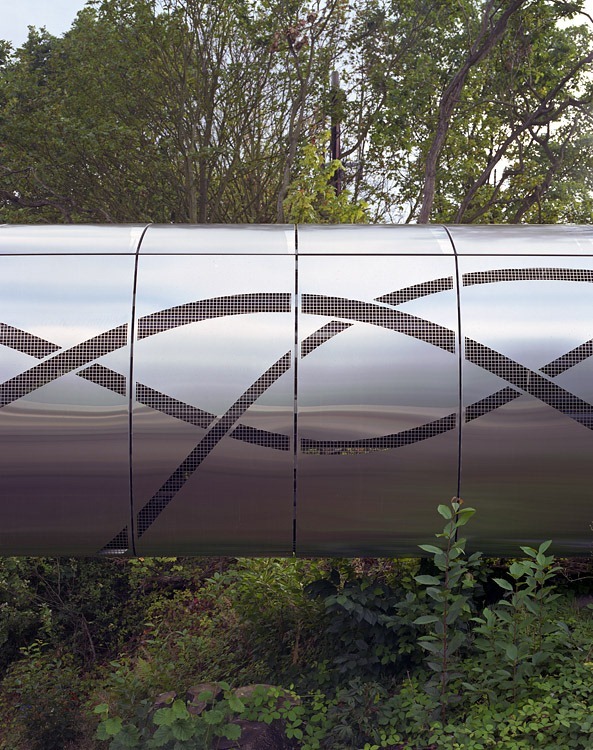 Designed by MJP Architects, the bridge is designed to have a very long service life and require very little maintenance or cleaning due in part to the use of 316 grade stainless steel cladding. 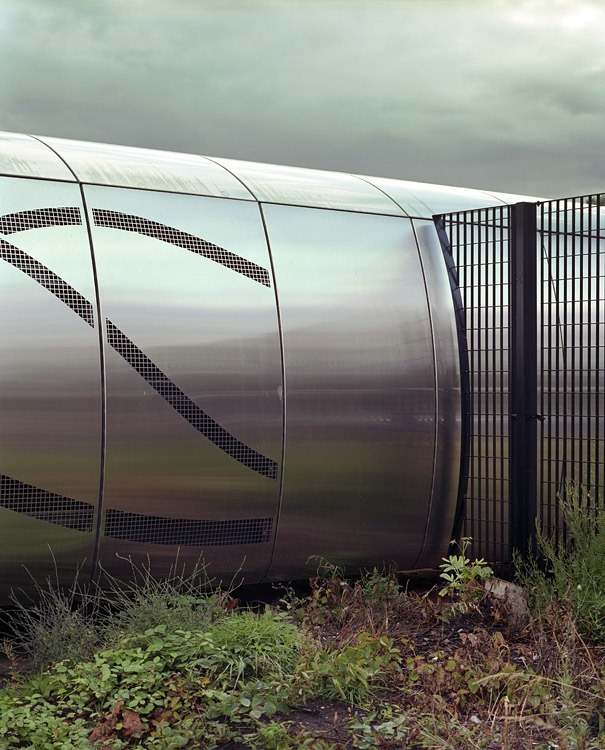 Sorba projects BV prefabricated the 60 metre long structure in two parts. 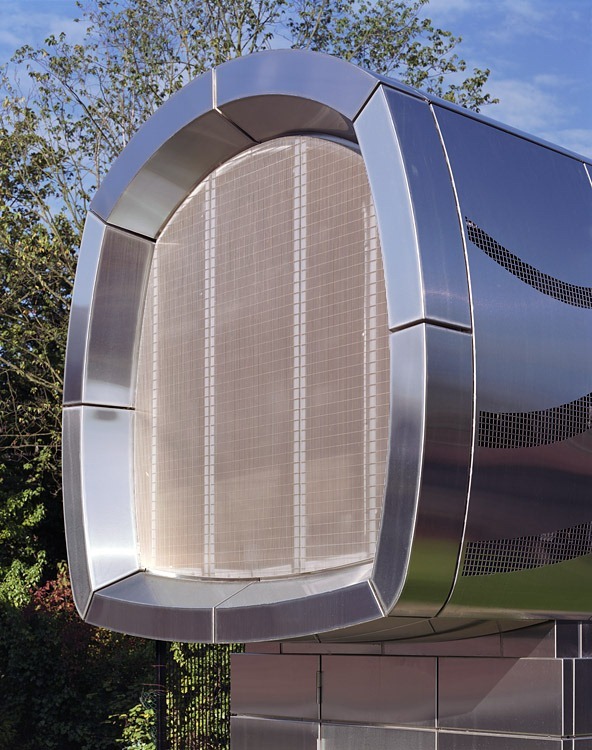 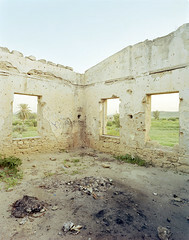 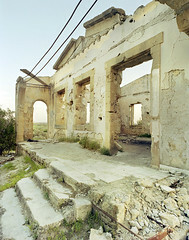 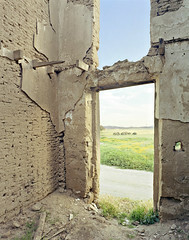 These were transported to the site and installed over night. 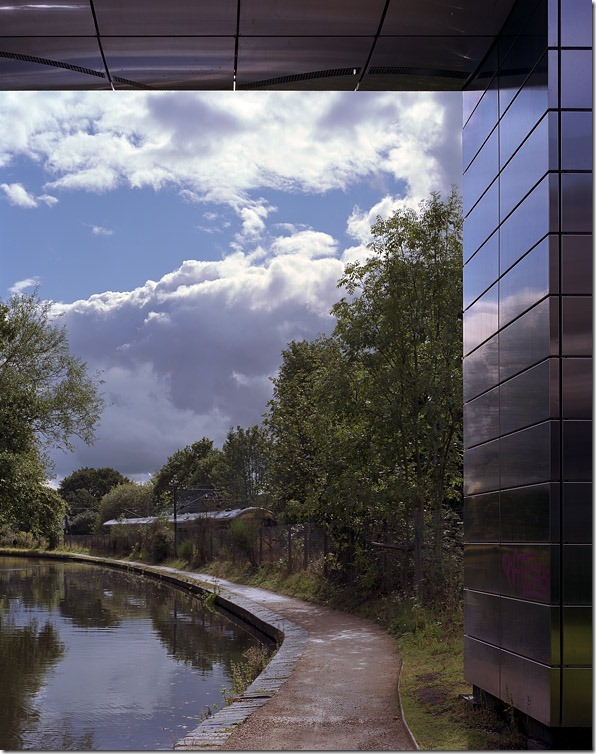 The bridge contains a walkway which allows safe access and internal inspection of the services that the bridge contains, and carries over the railway lines and canal. The bridge is a crucial part of the University’s sustainable energy strategy, which reduces their carbon footprint by 1,500 tonnes a year. 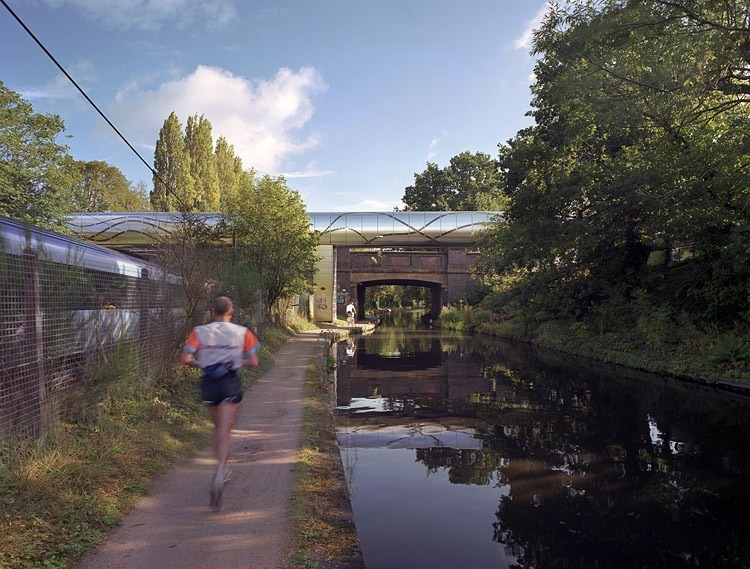 The canal path runs parallel to the train tracks, both pass beneath the bridge. University of Birmingham students passing by the bridge.